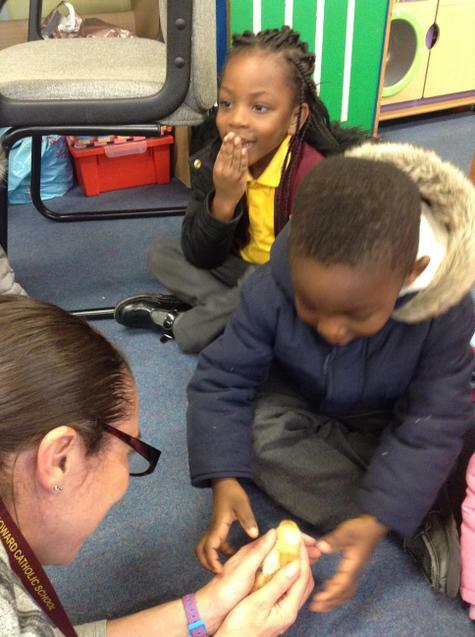 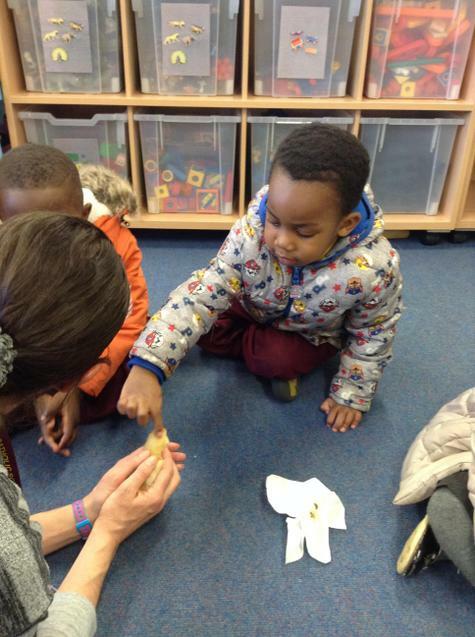 Today, we were 'Scientists', doing some 'egg-speriments'. 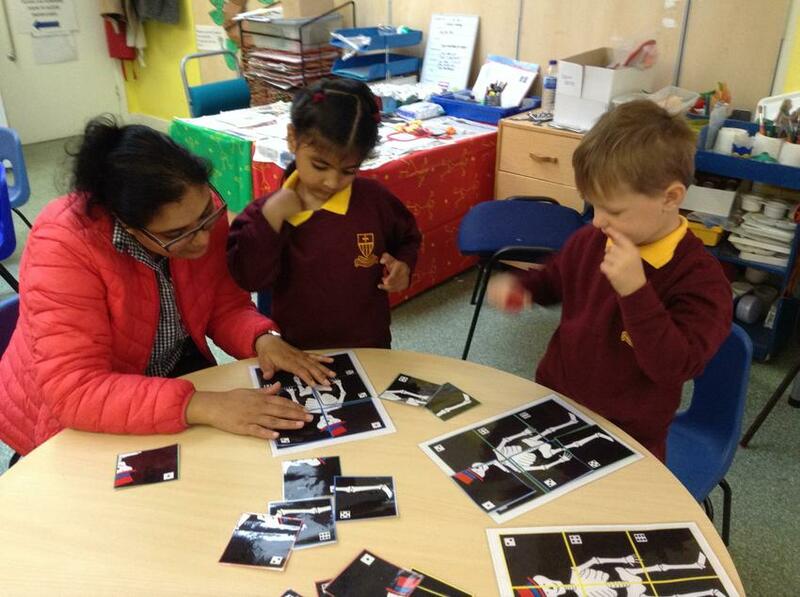 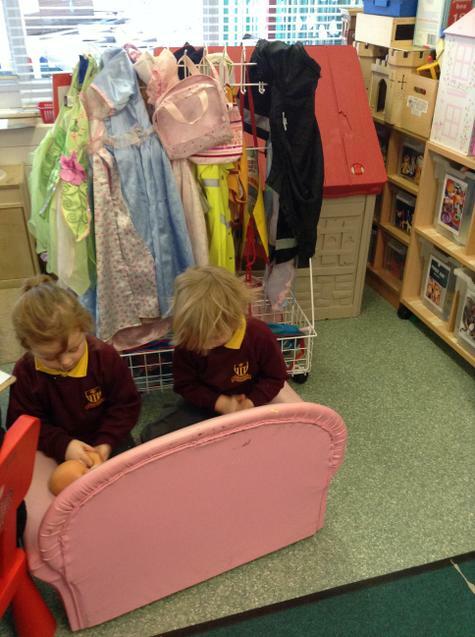 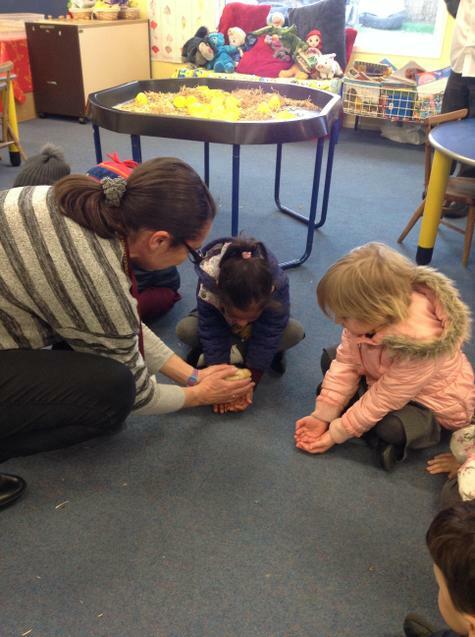 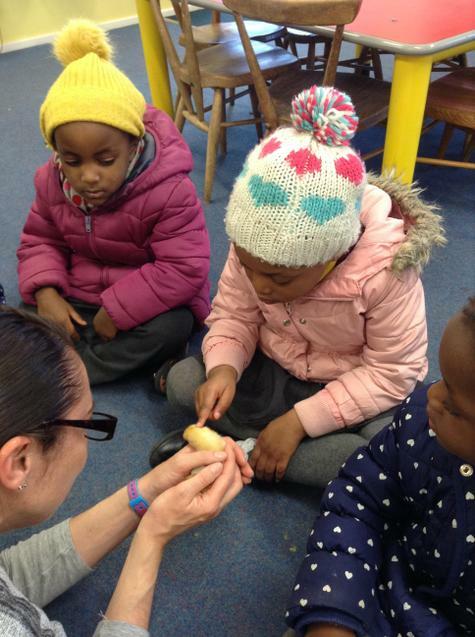 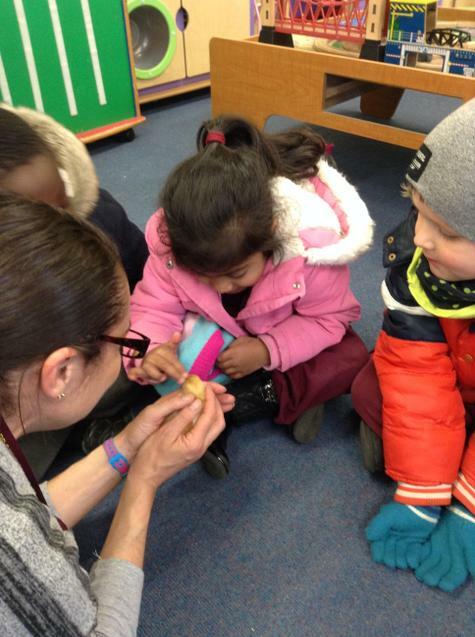 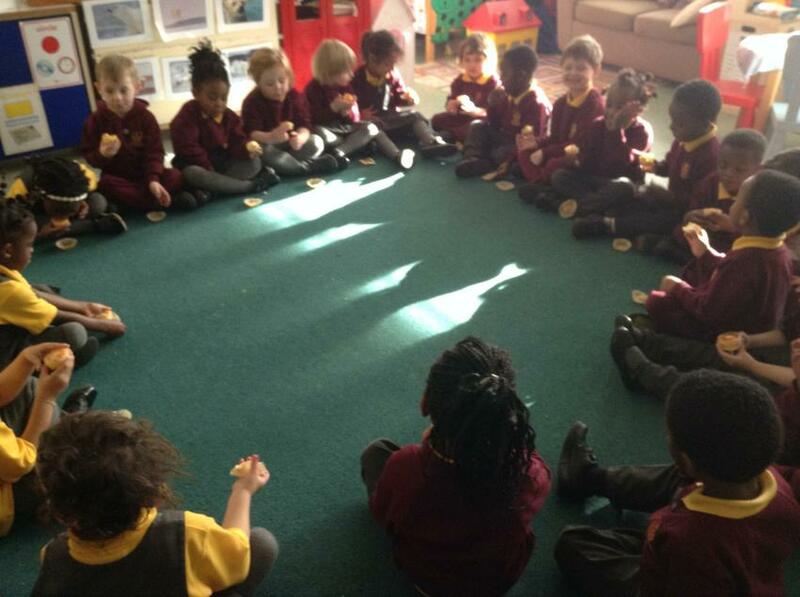 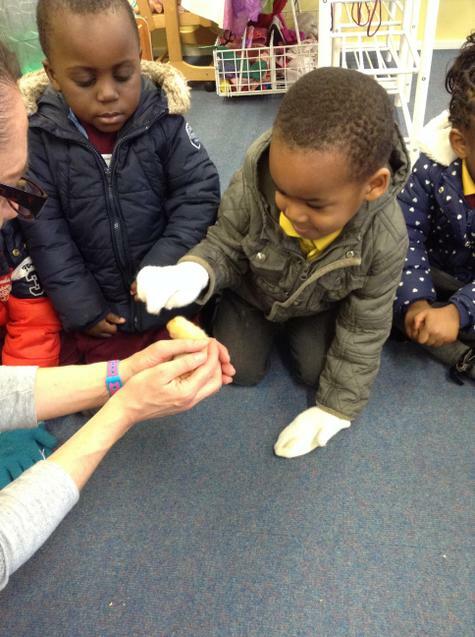 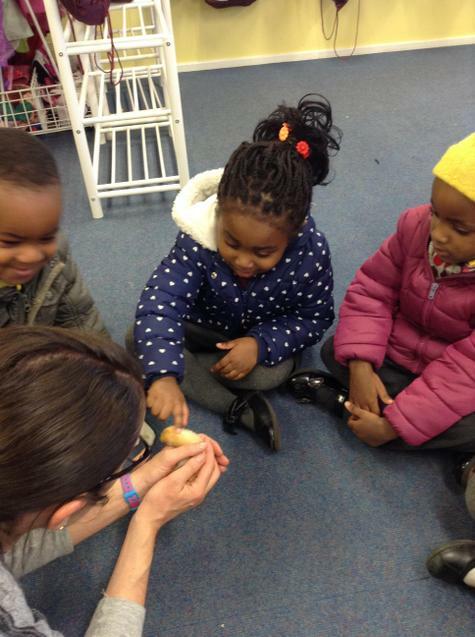 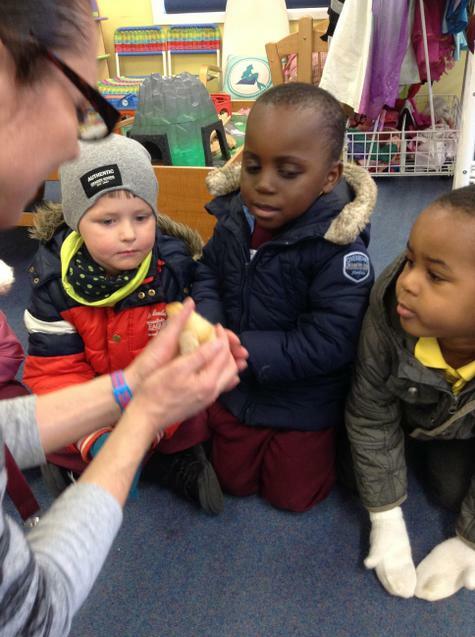 Our first egg-speriment was called 'Walking on Humpty's Friends'. 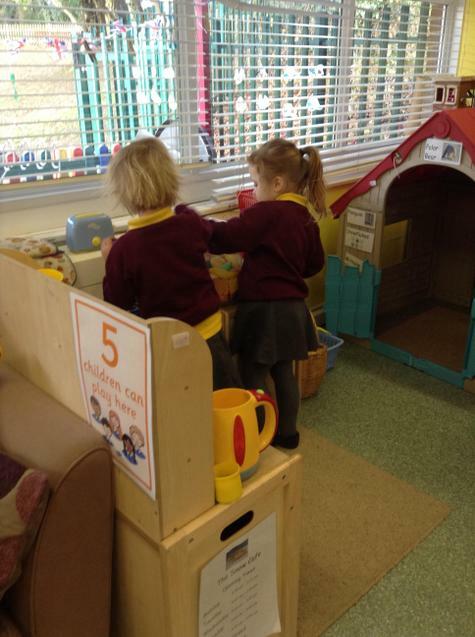 We took turns to stand on a box of eggs and we tried to predict whether the eggs would break or not. 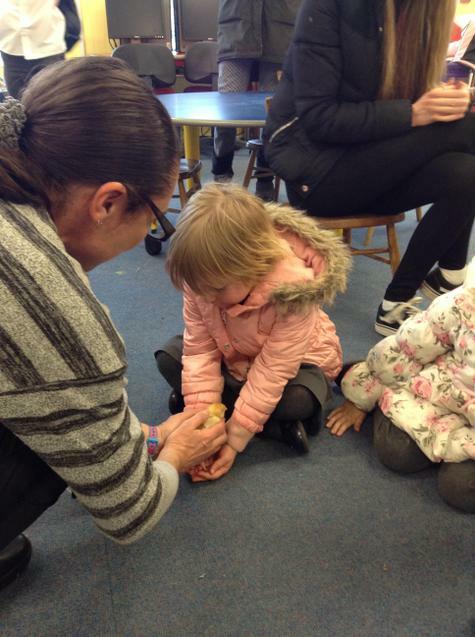 Our second egg-speriment was called 'Swim, Humpty, Swim!' 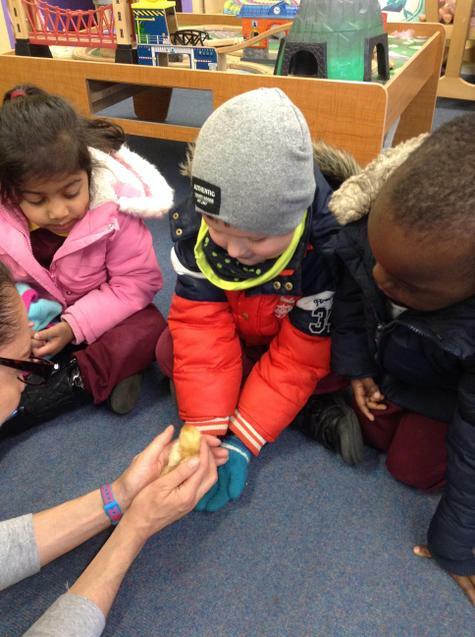 We placed a Humpty Dumpty egg in a jar of water and talked about how he sank. 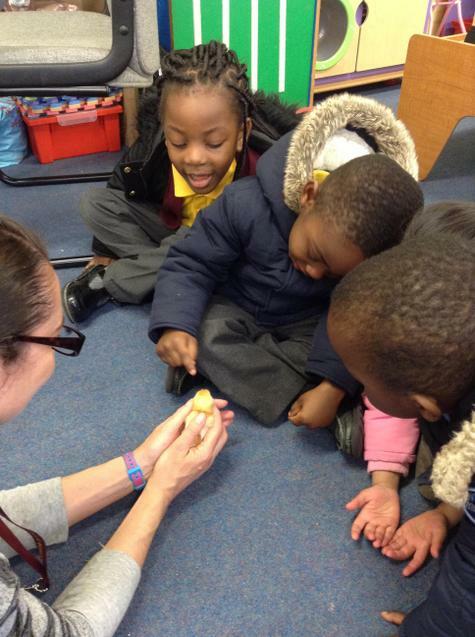 Then, we added salt to the water and observed how Humpty Dumpty then began to float in the water. 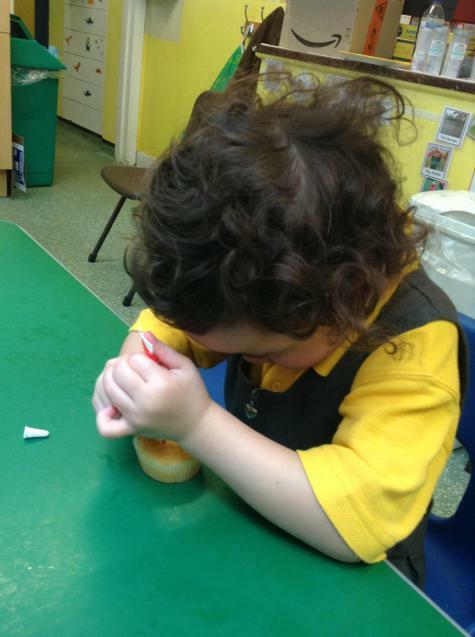 Our last egg-speriment involved putting a Humpty Dumpty egg in to a jug of vinegar and making regular observations on what changes were taking place. 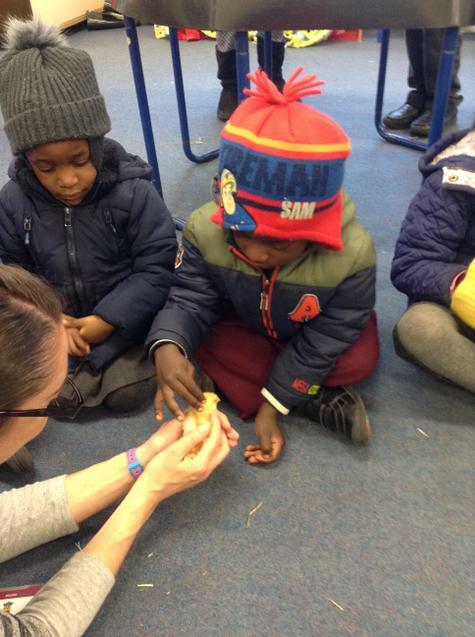 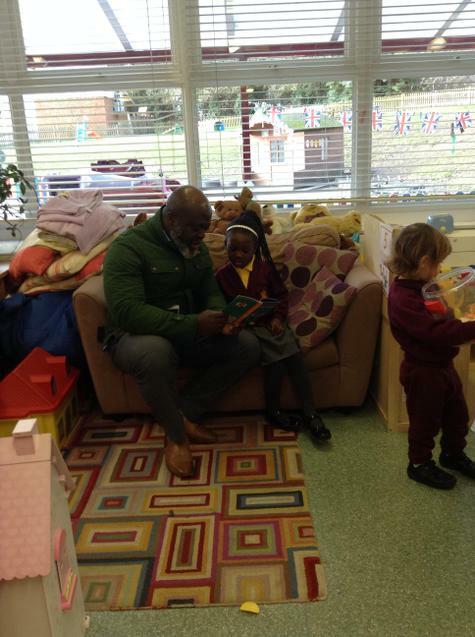 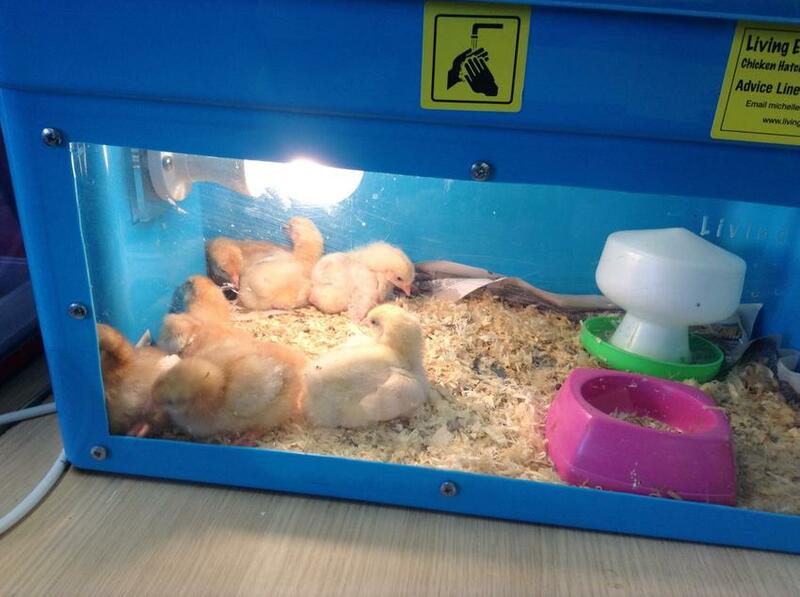 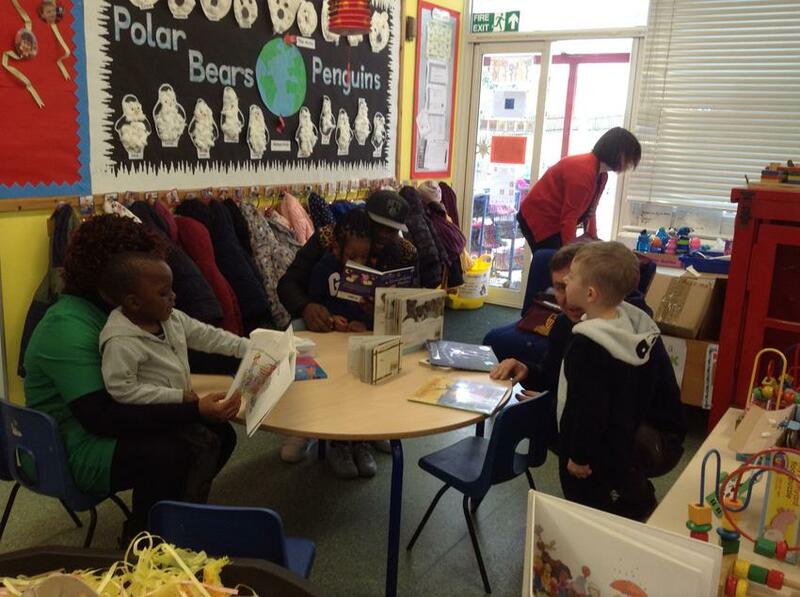 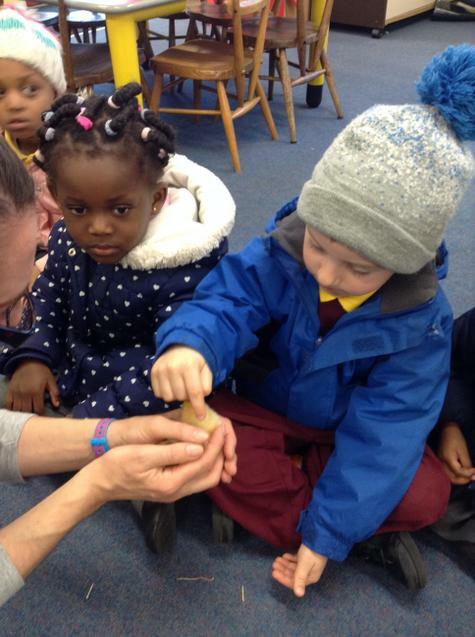 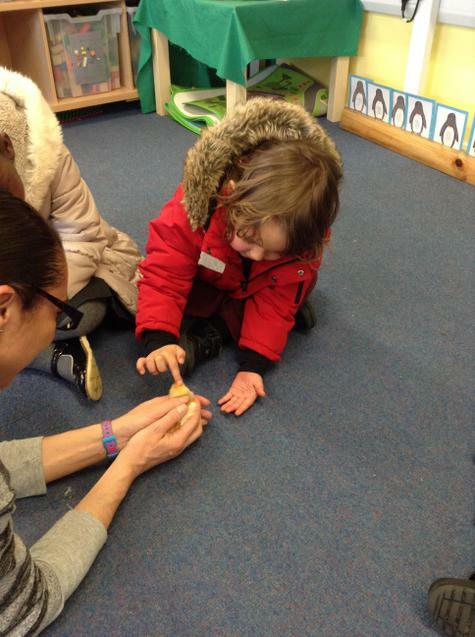 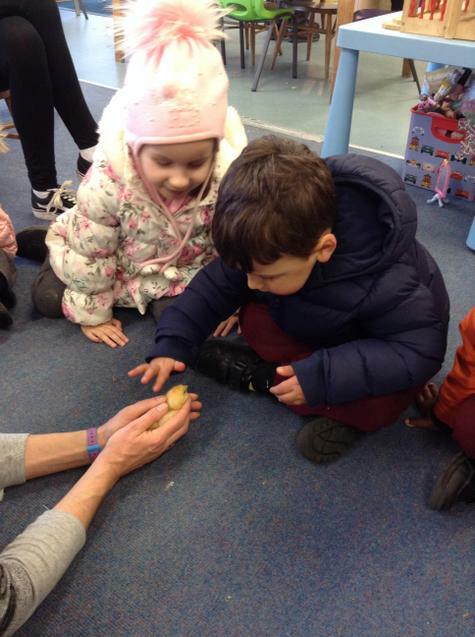 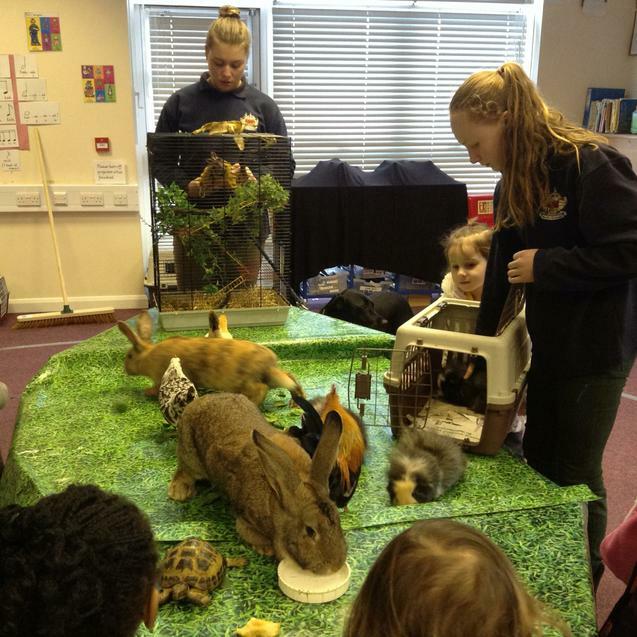 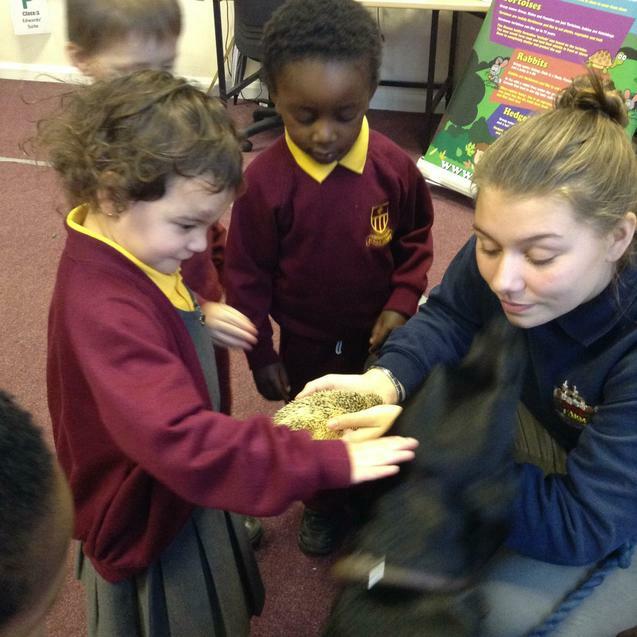 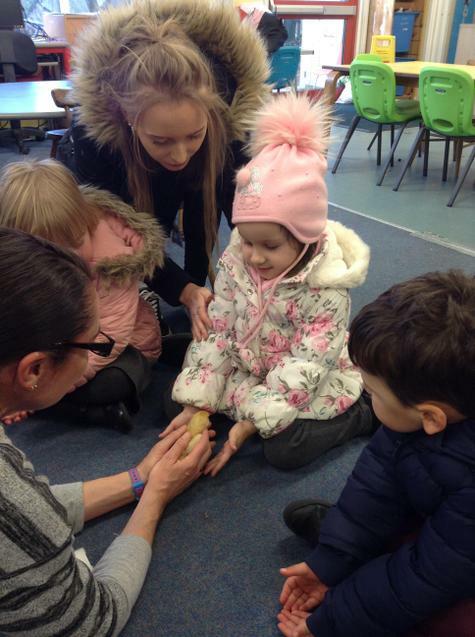 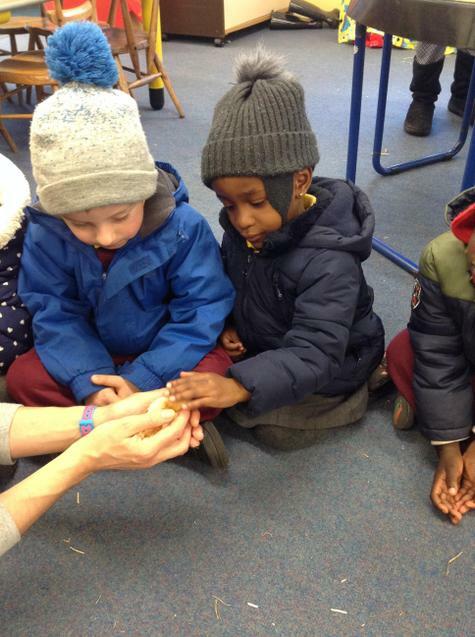 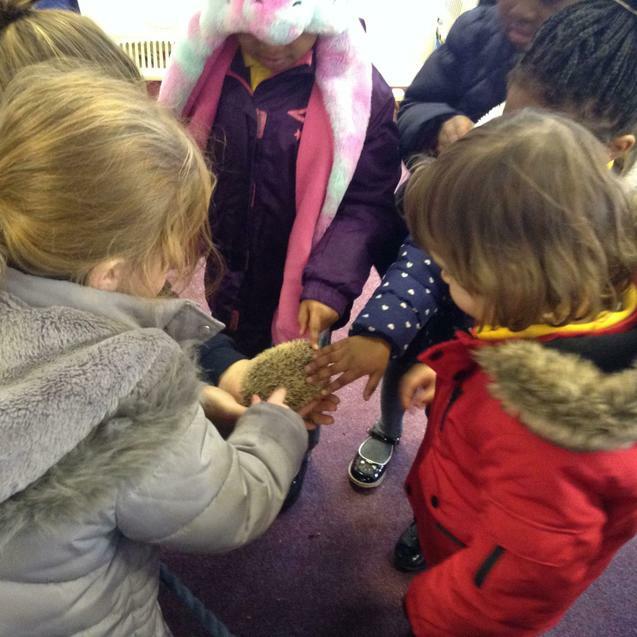 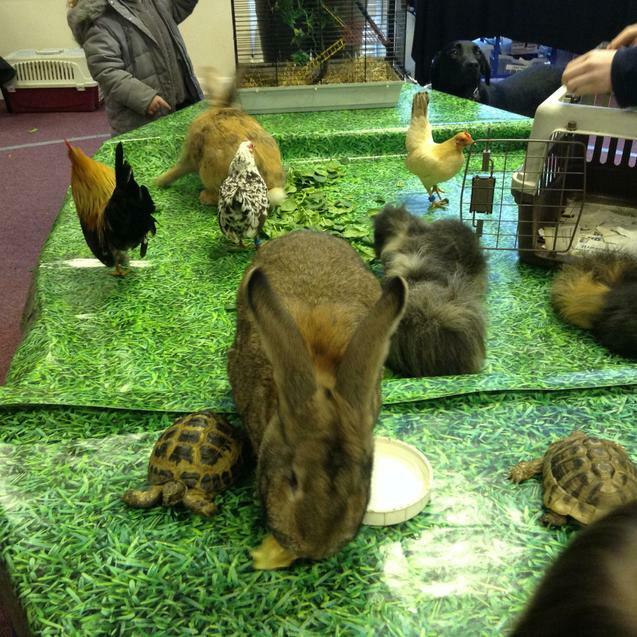 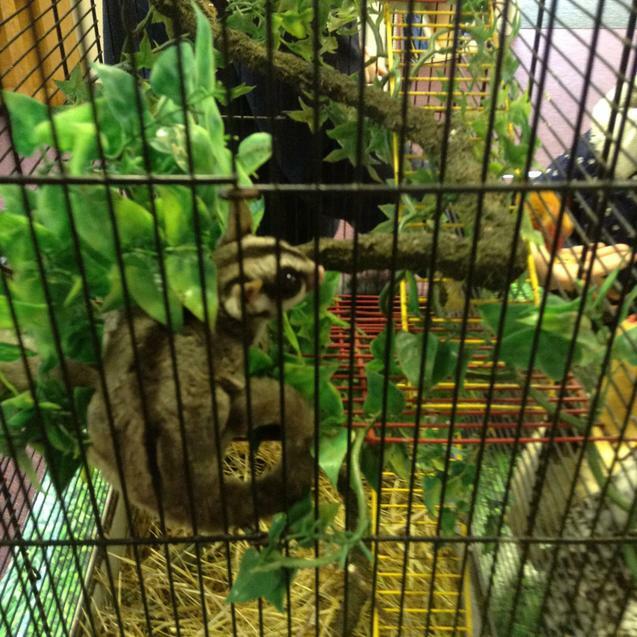 THE CHICKS IN 'SNOWFLAKES' - Thursday, 14th March 2019 - Today, we went to see the chicks again before they have to leave our school. 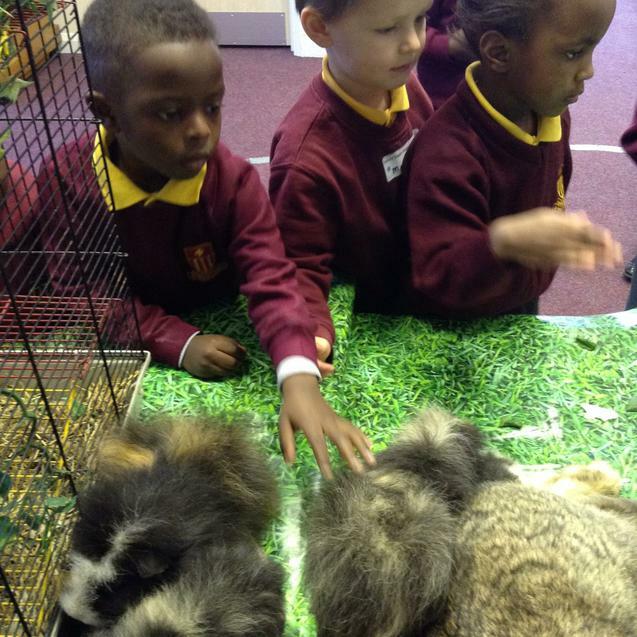 They had grown since we last saw them. 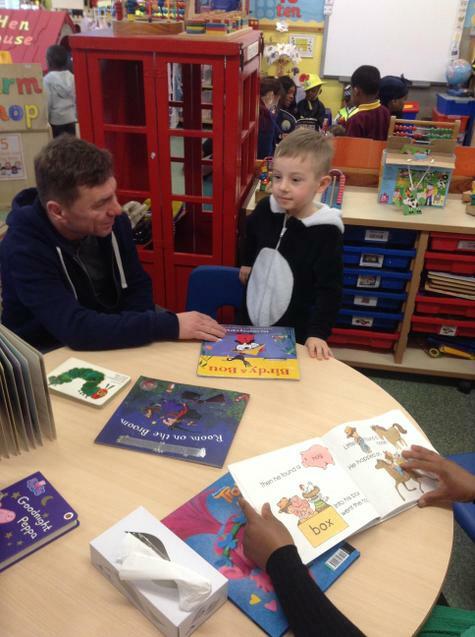 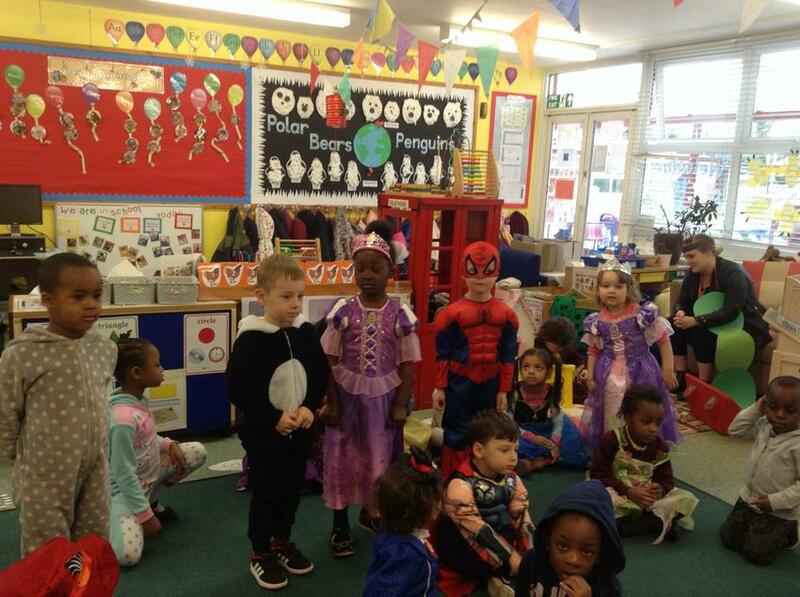 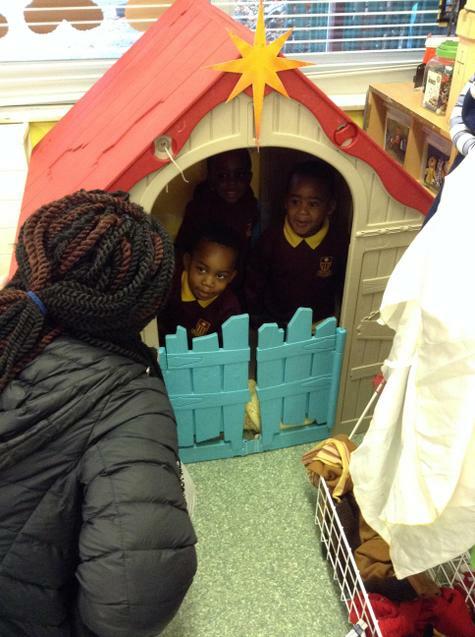 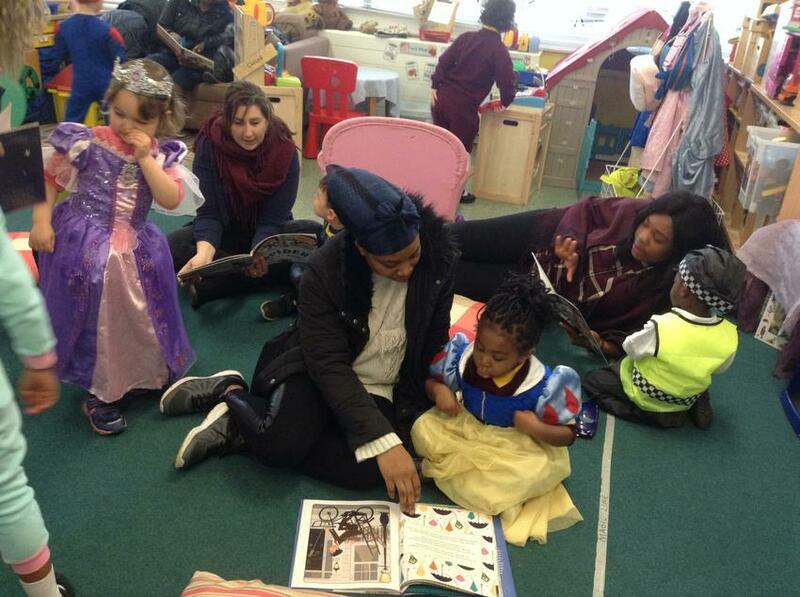 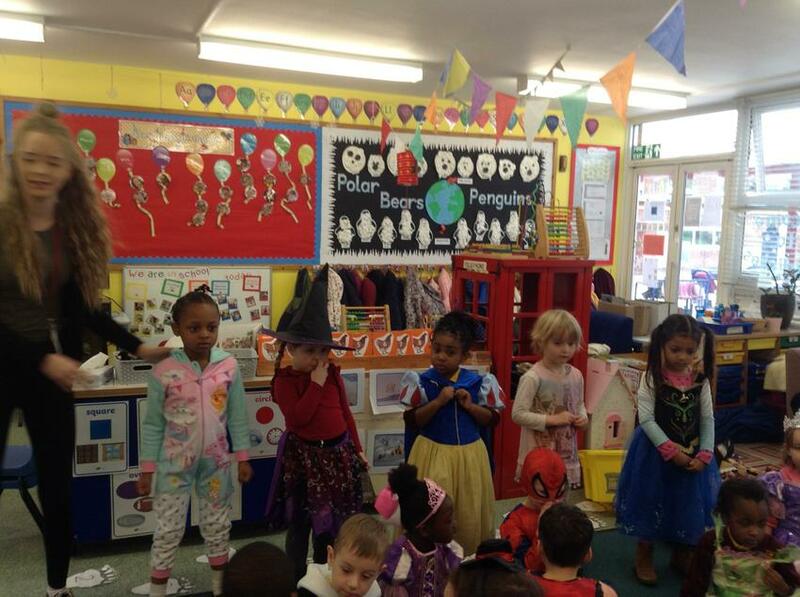 WORLD BOOK DAY AND 'STAY AND READ' - THURSDAY, 7TH MARCH 2019 - We came to school dressed as a character from a book, or wearing our pyjamas. 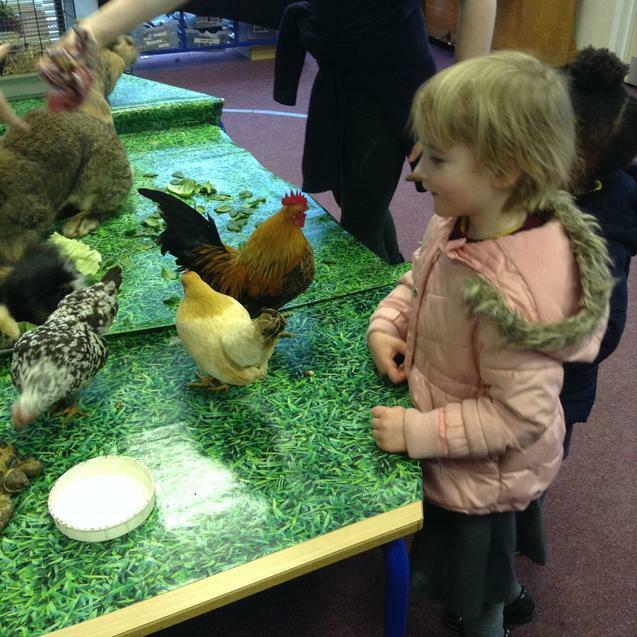 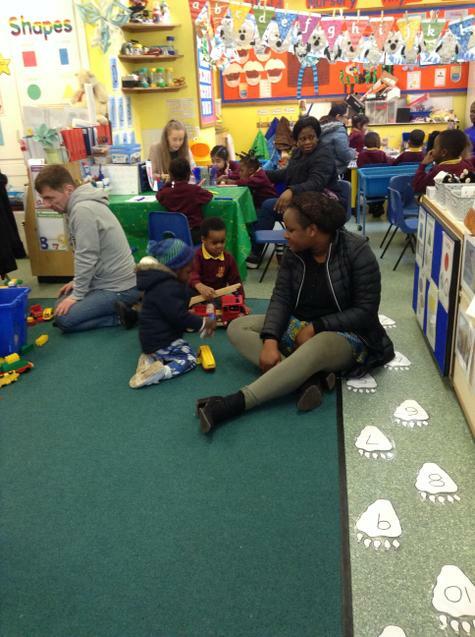 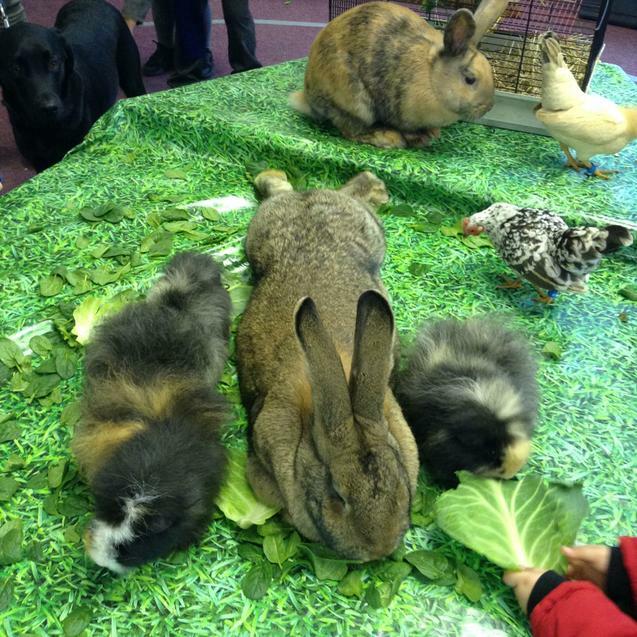 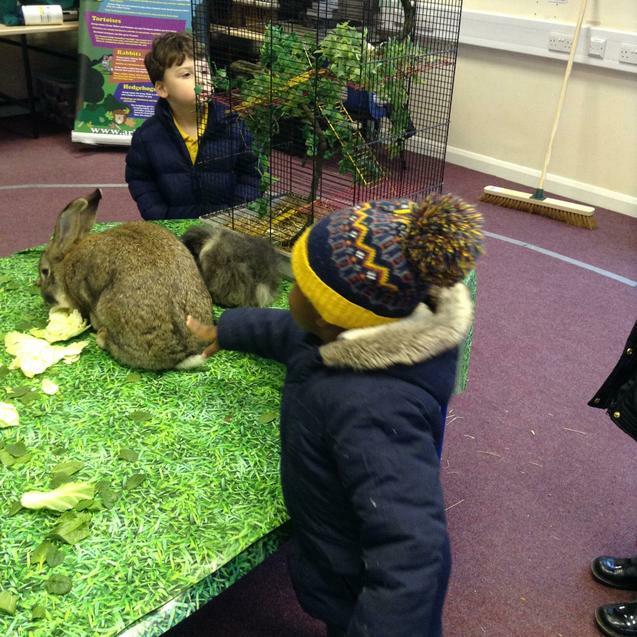 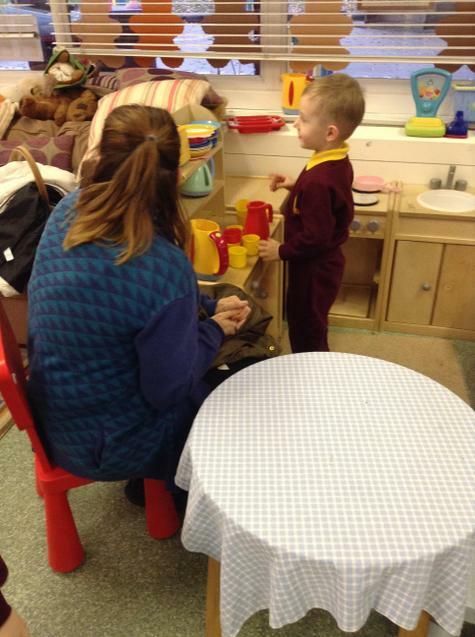 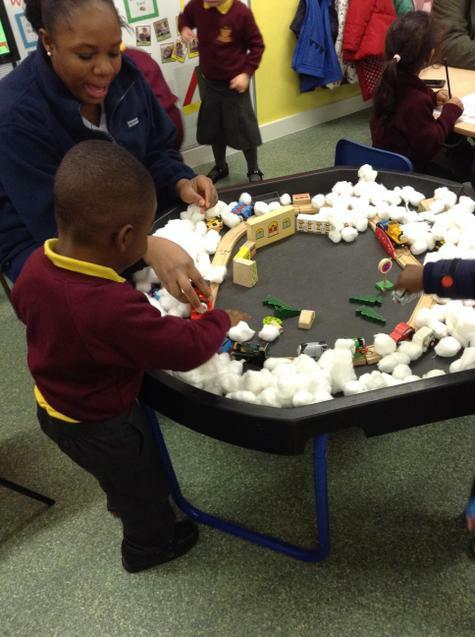 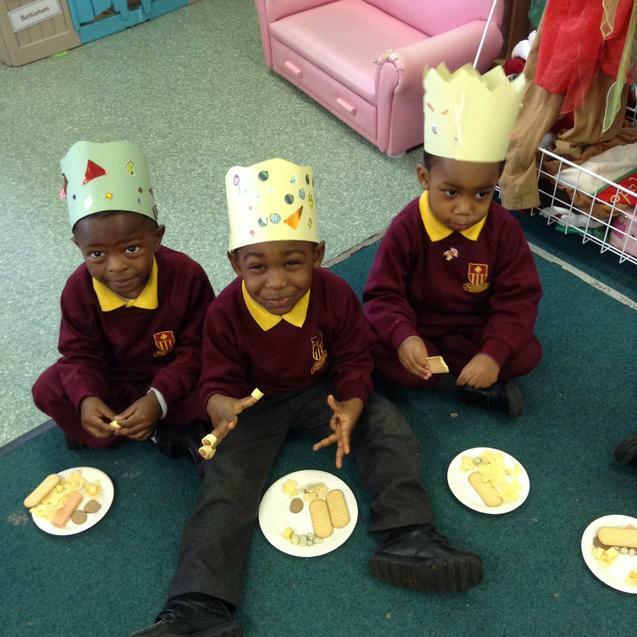 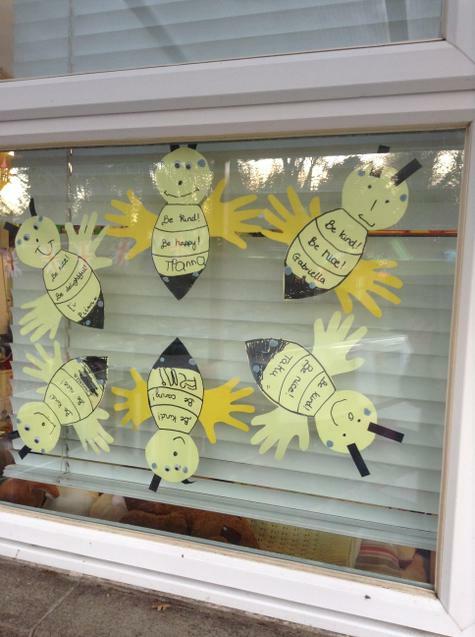 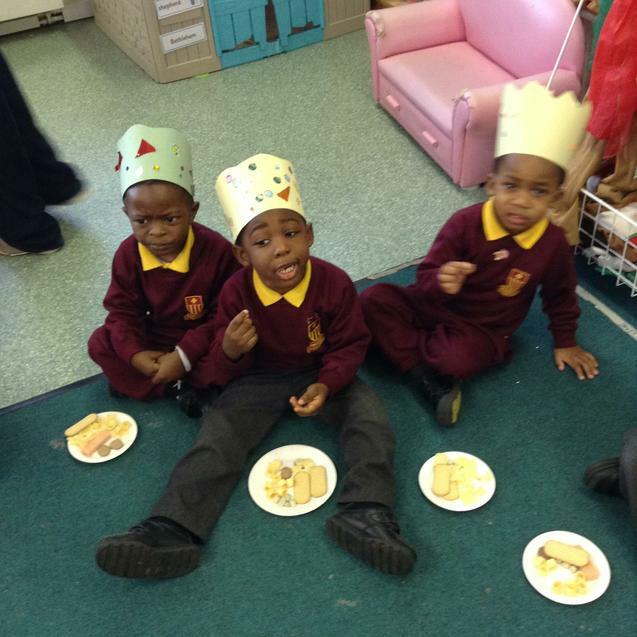 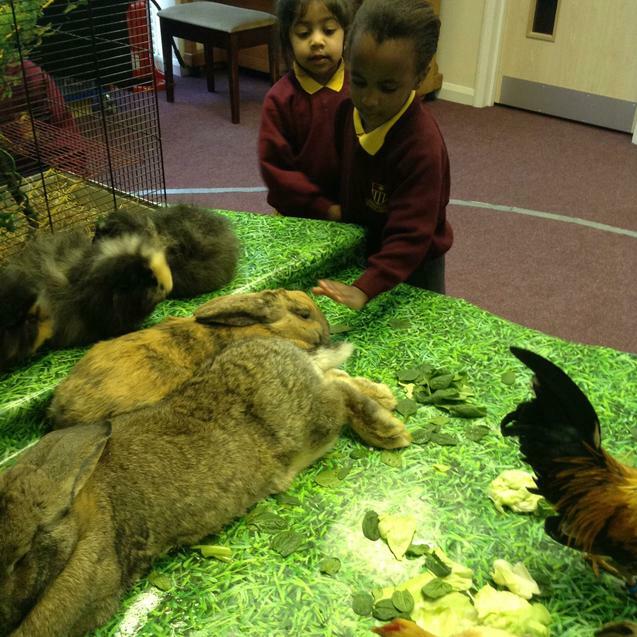 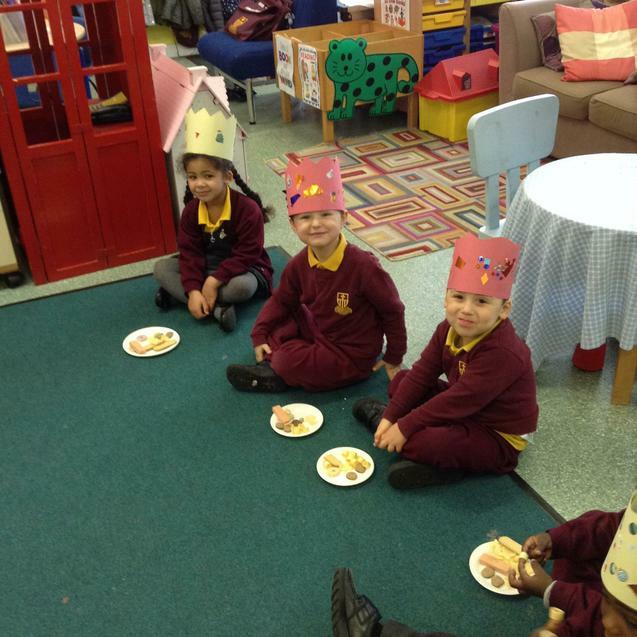 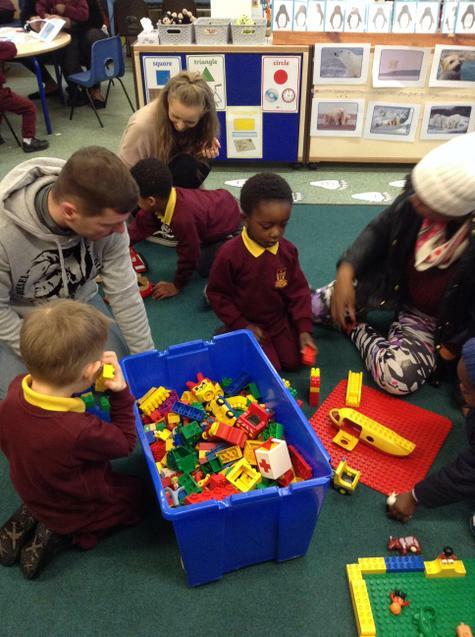 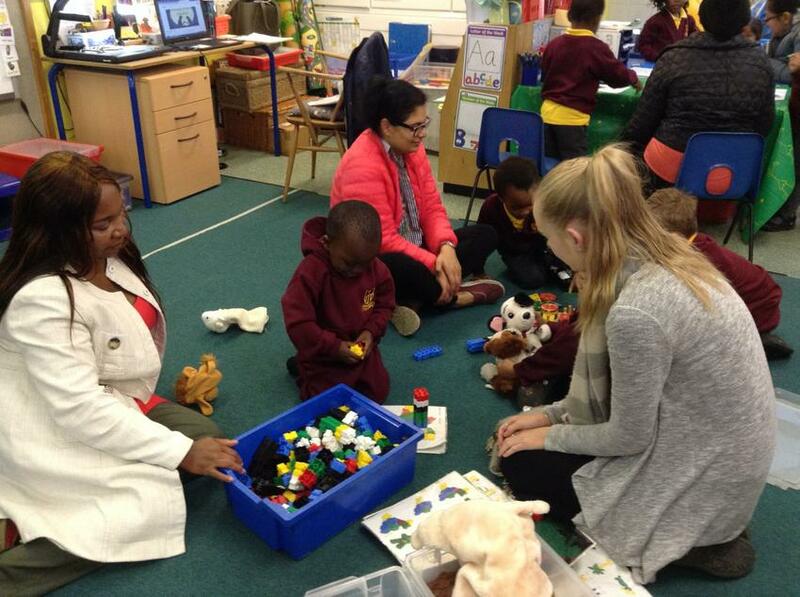 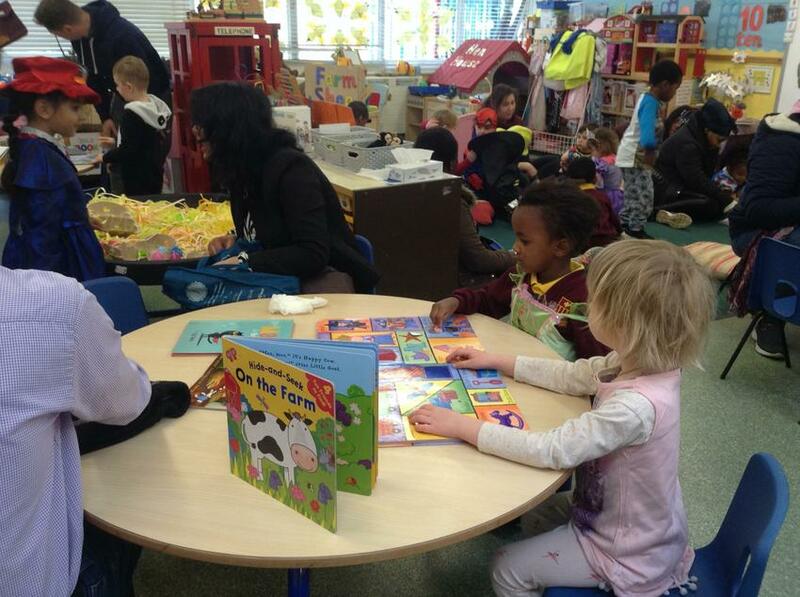 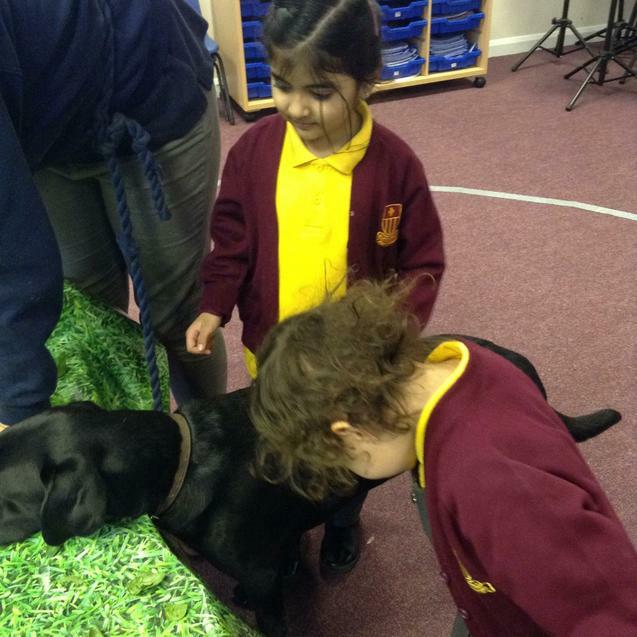 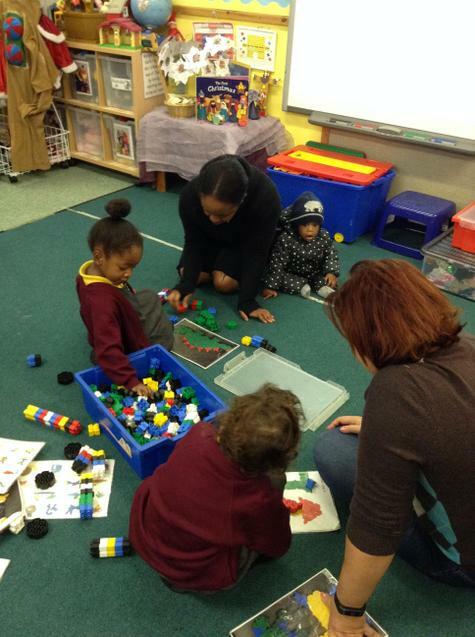 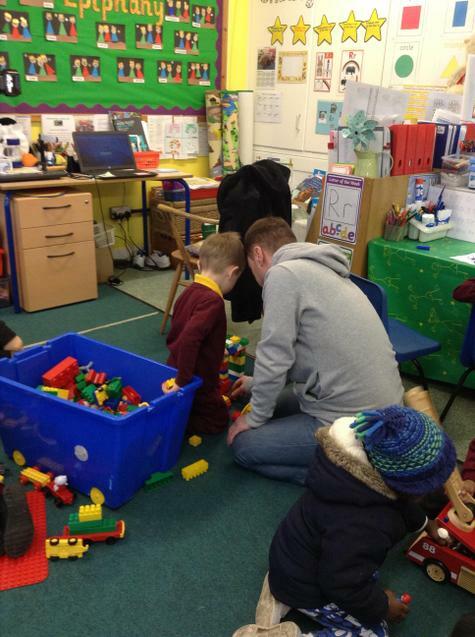 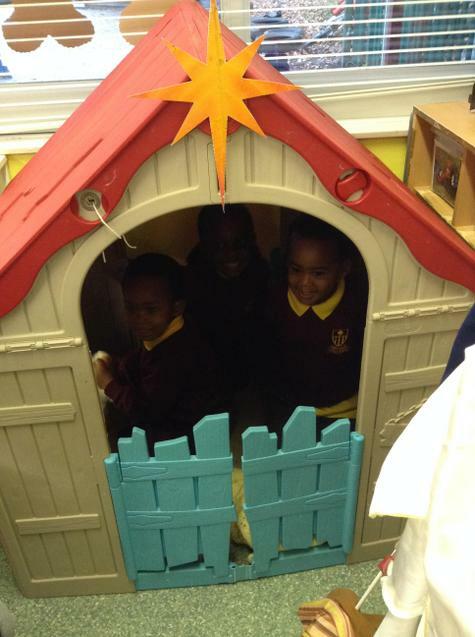 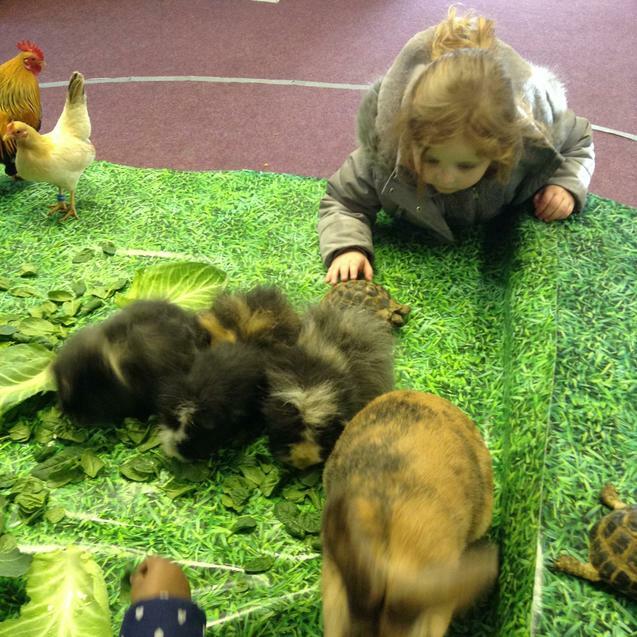 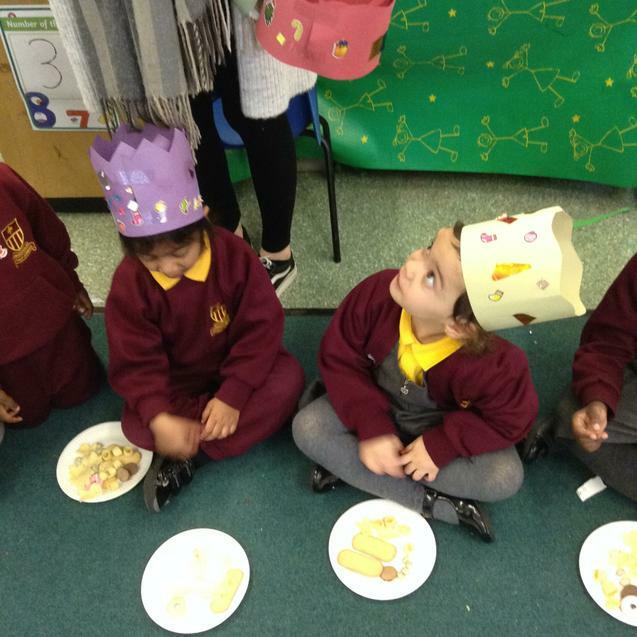 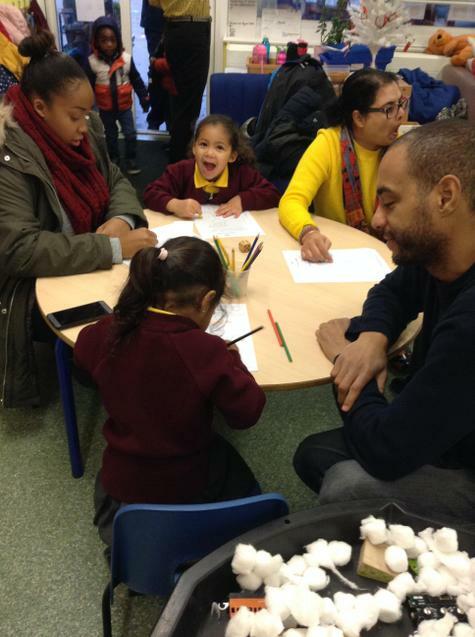 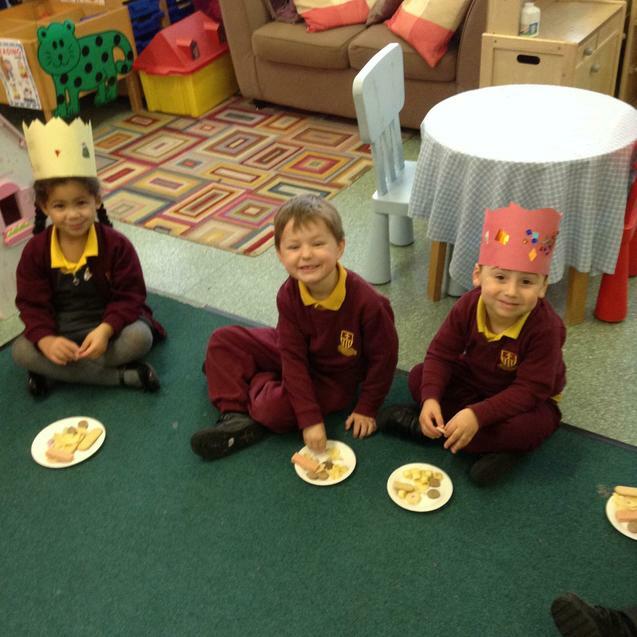 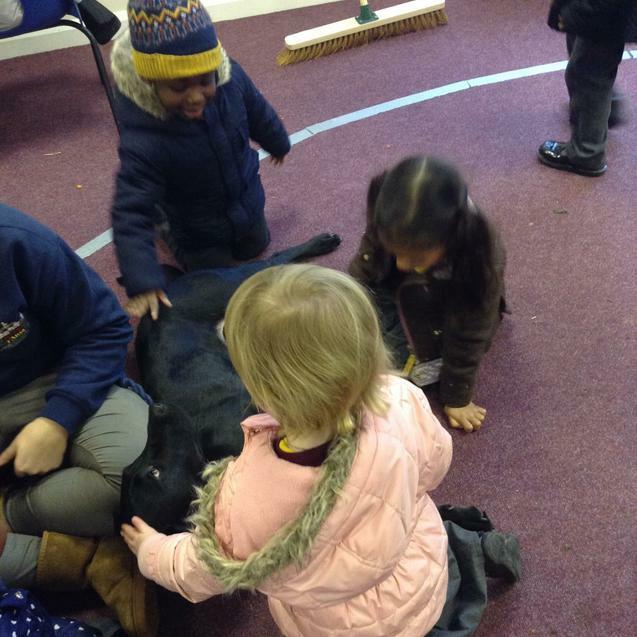 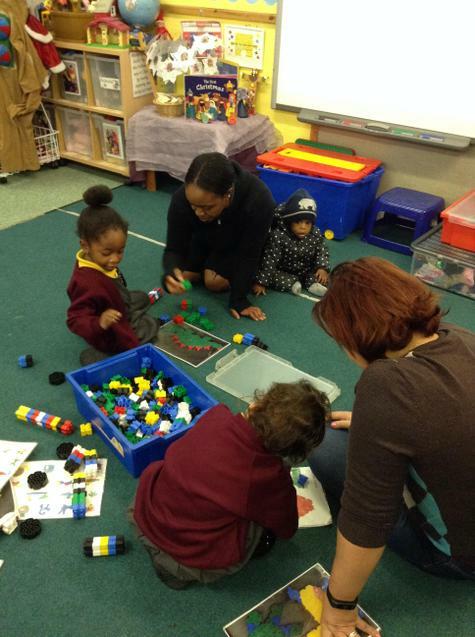 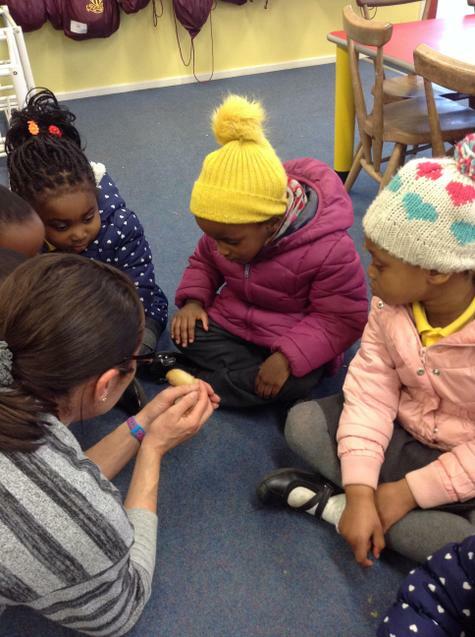 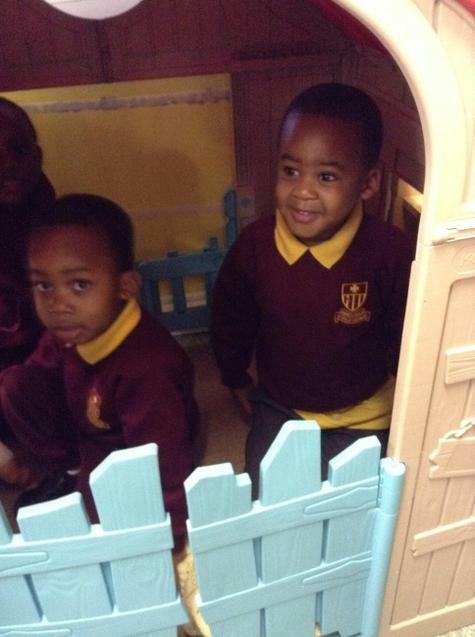 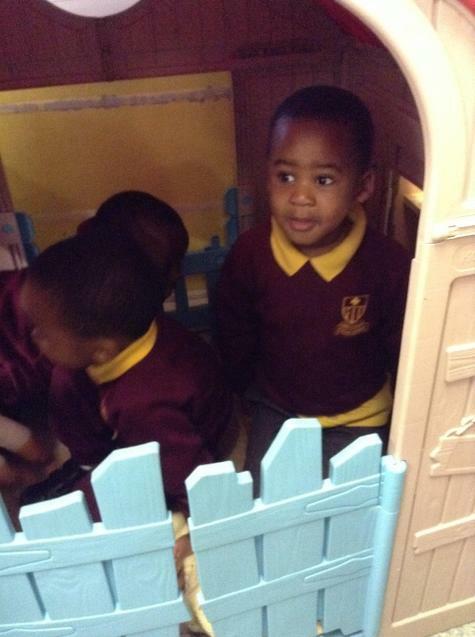 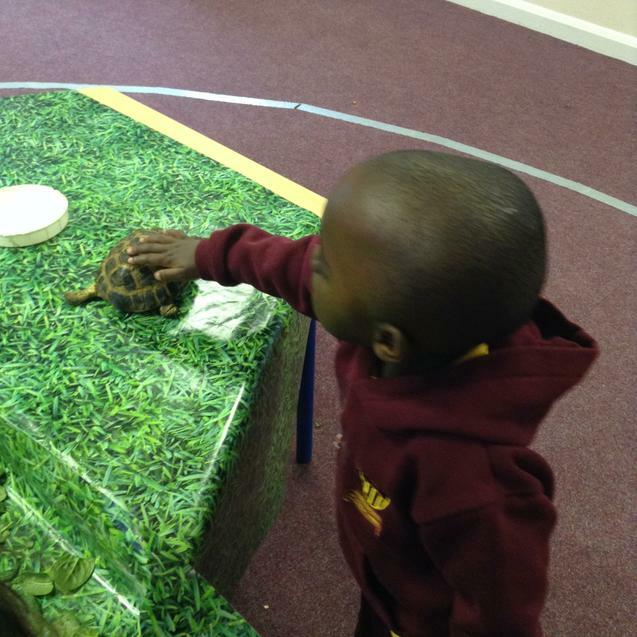 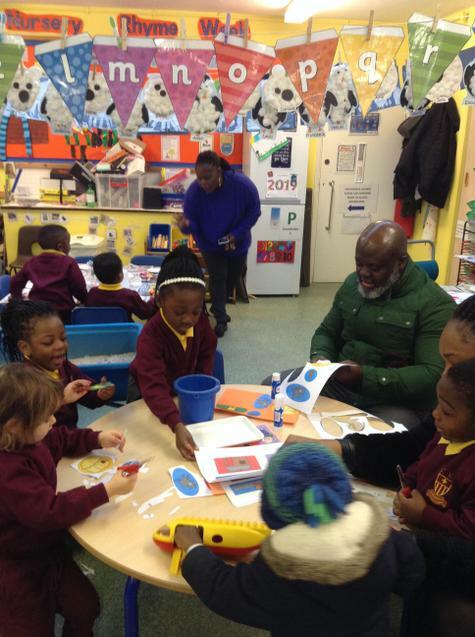 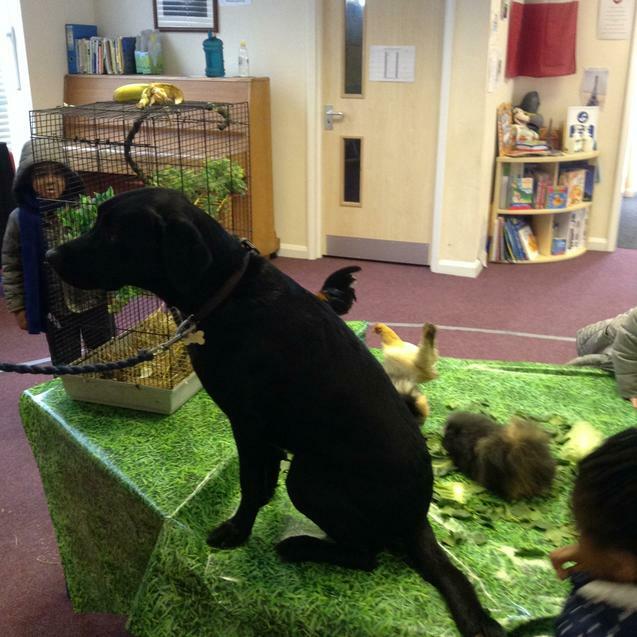 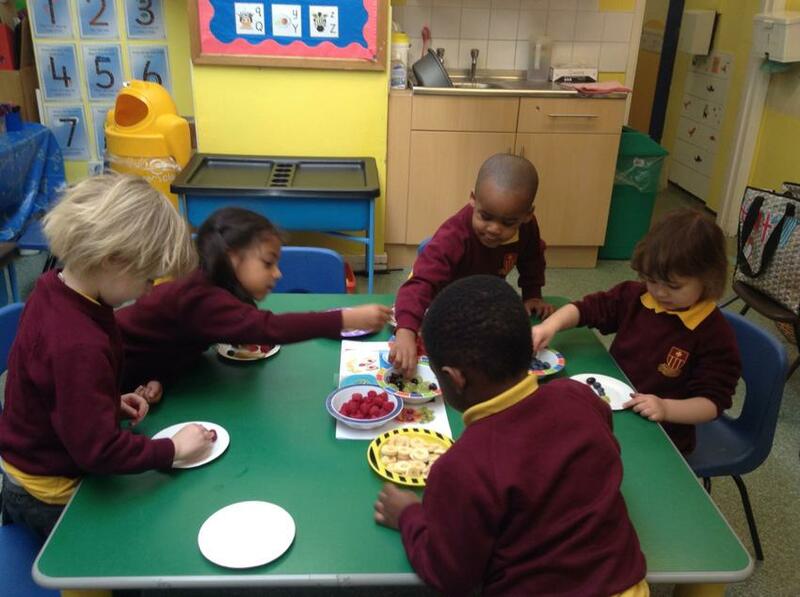 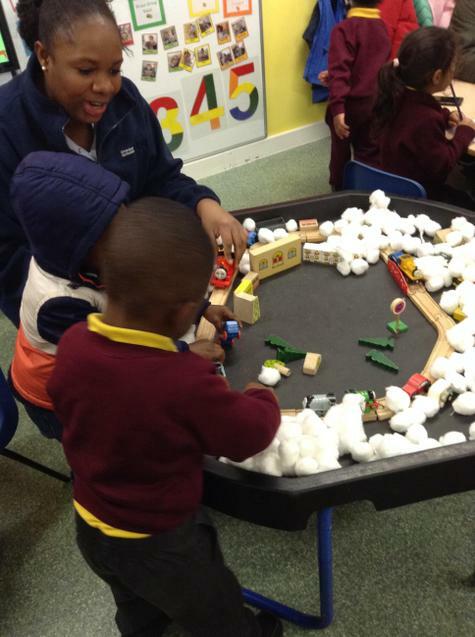 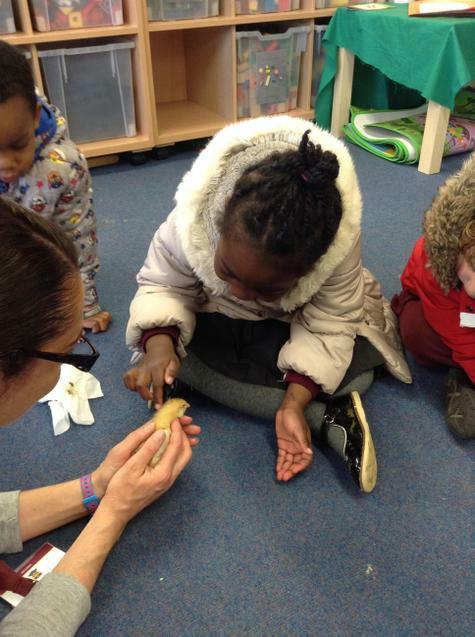 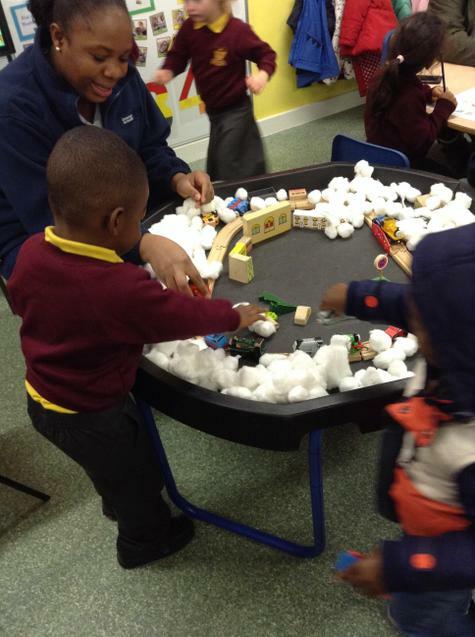 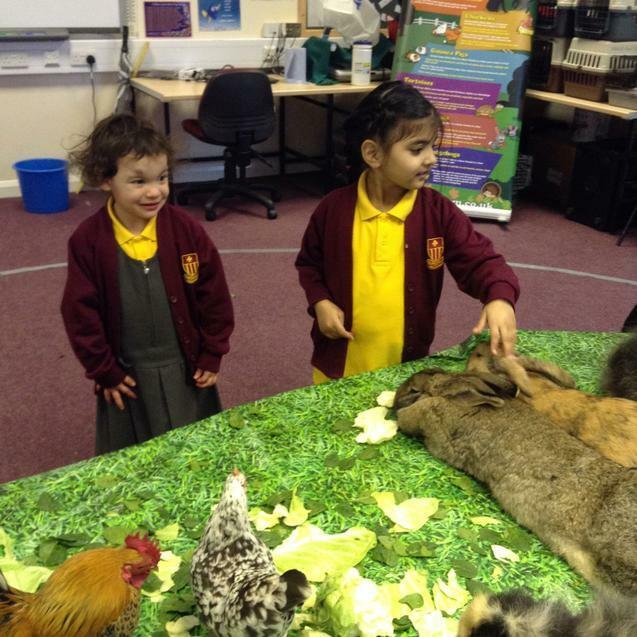 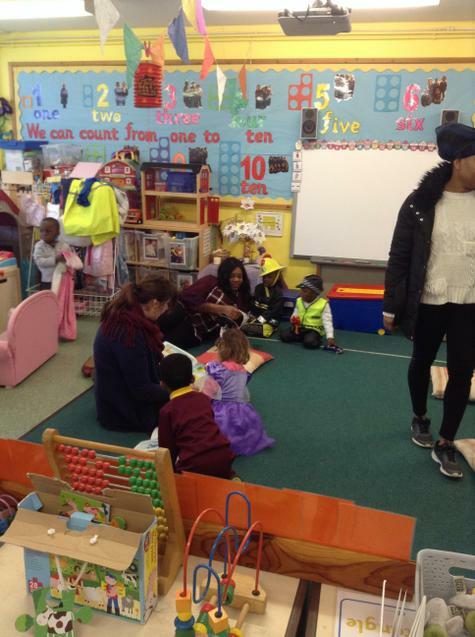 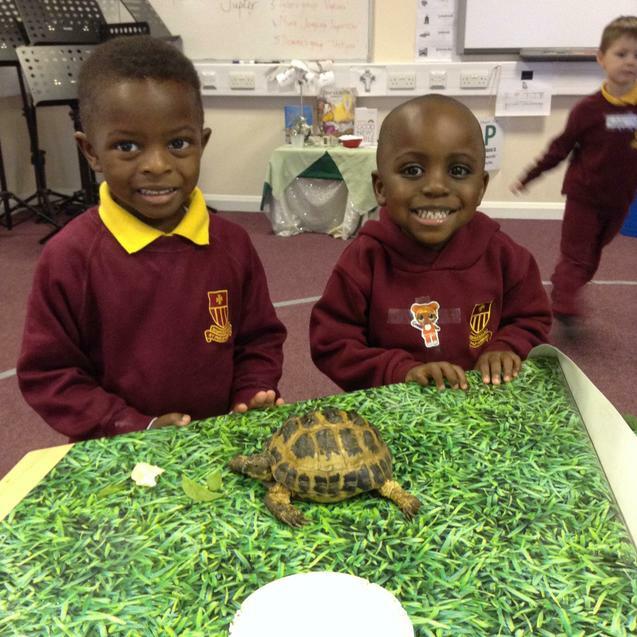 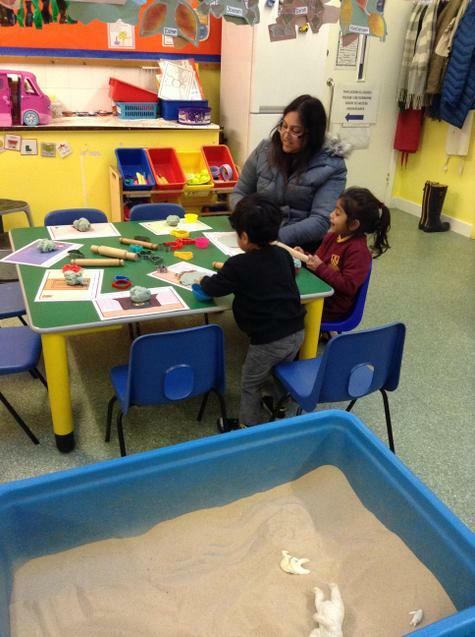 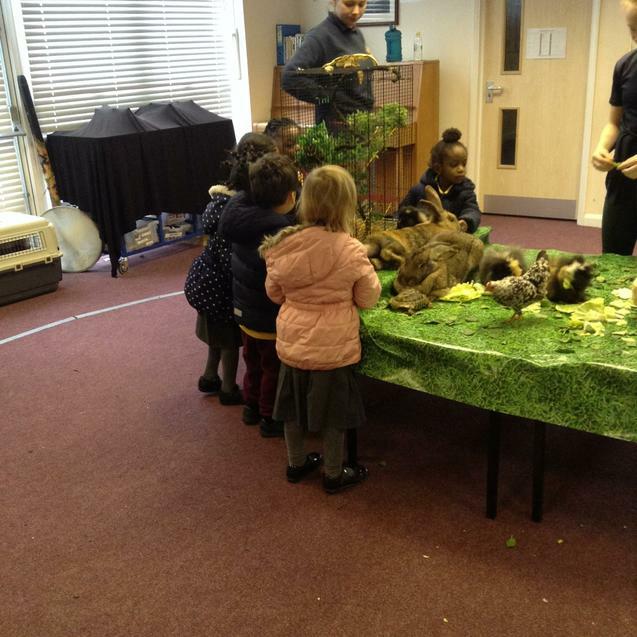 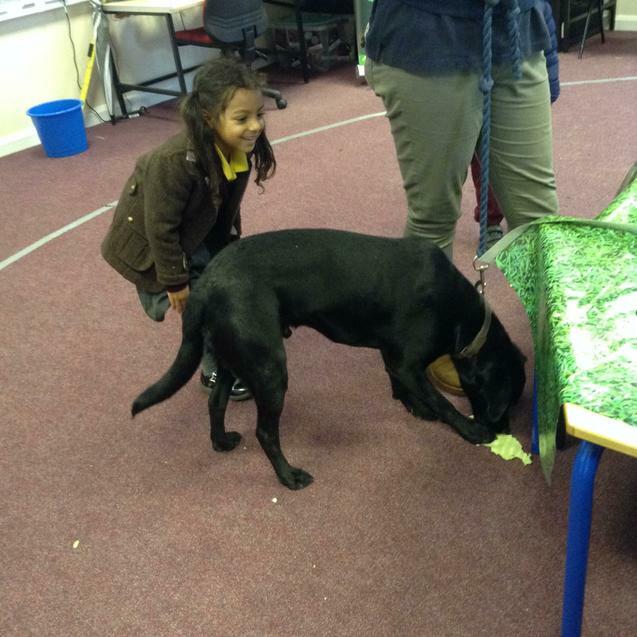 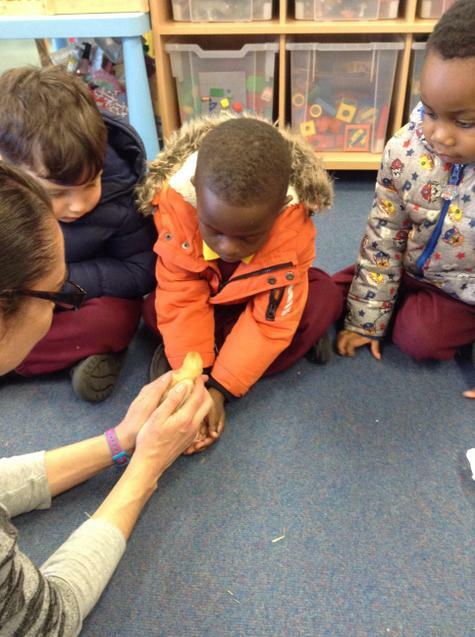 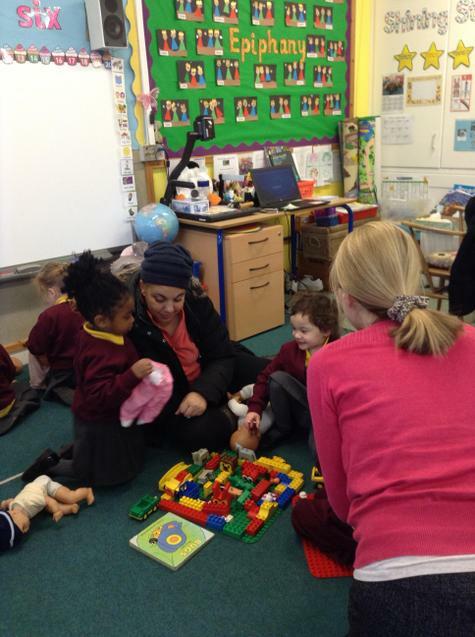 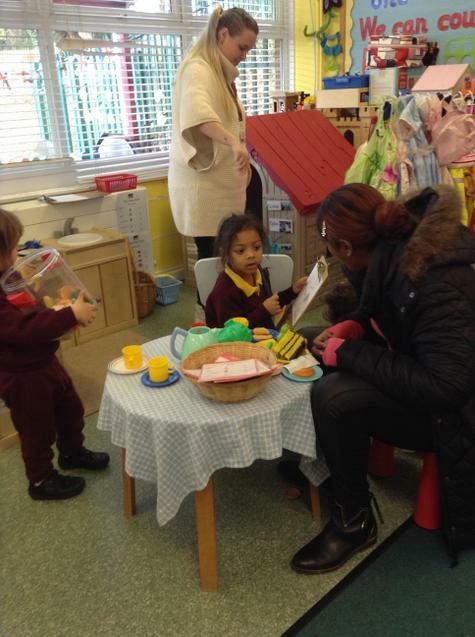 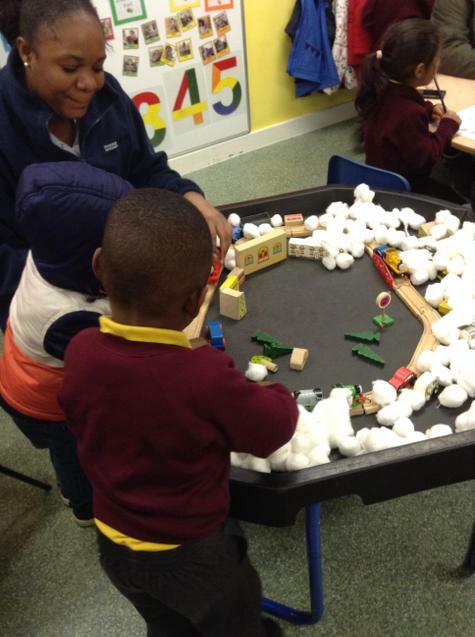 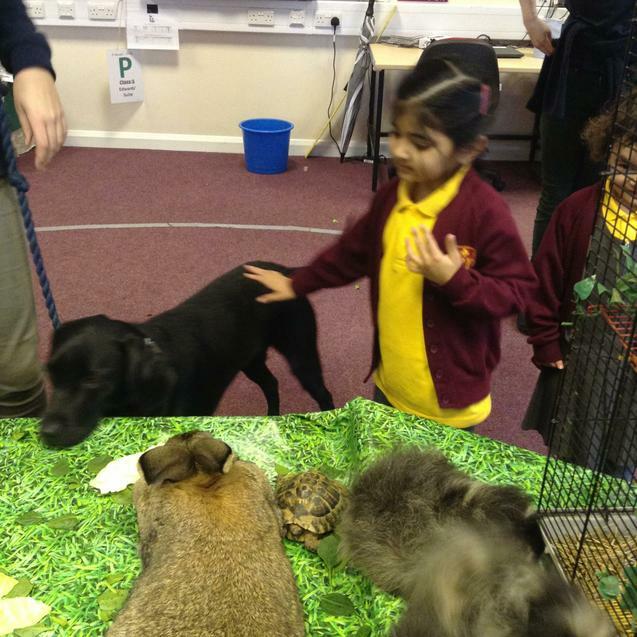 MONDAY 11TH FEBRUARY TO FRIDAY 15TH FEBRUARY - FEELING GOOD WEEK - We met the small animals from the farm, we made happy faces from fruit, we decorated cakes with happy faces, we made happy busy bees and did some yoga. 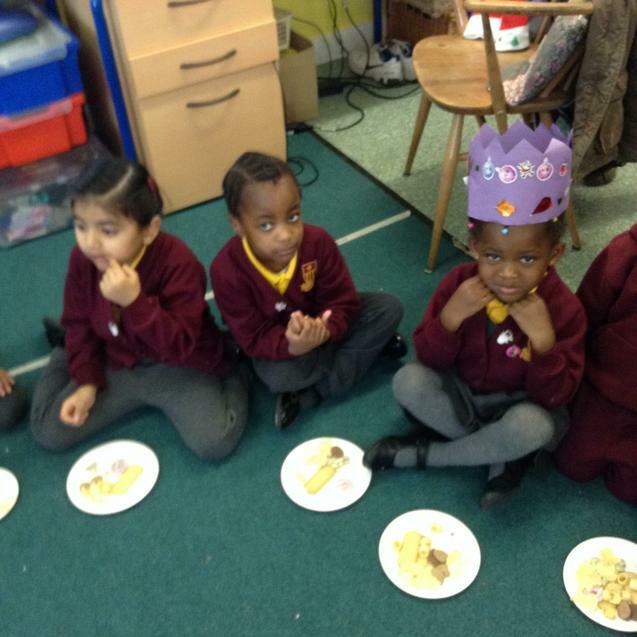 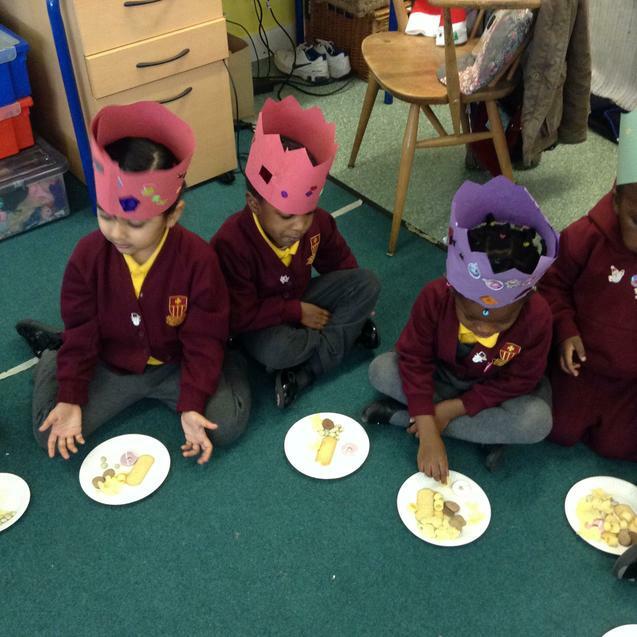 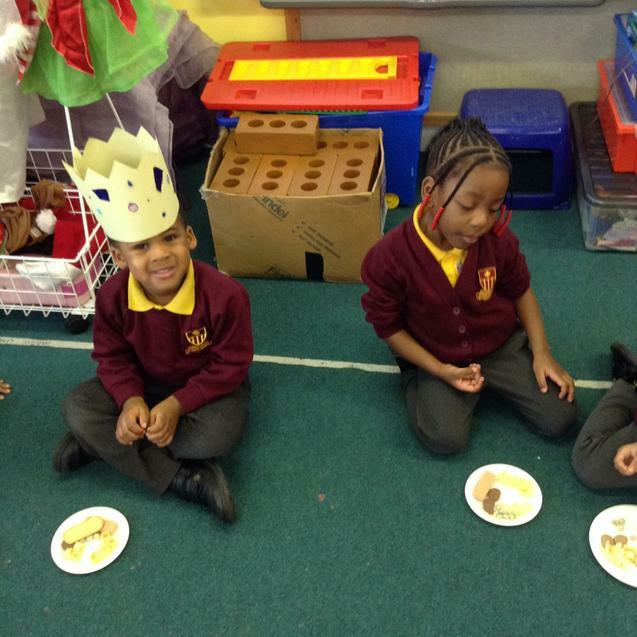 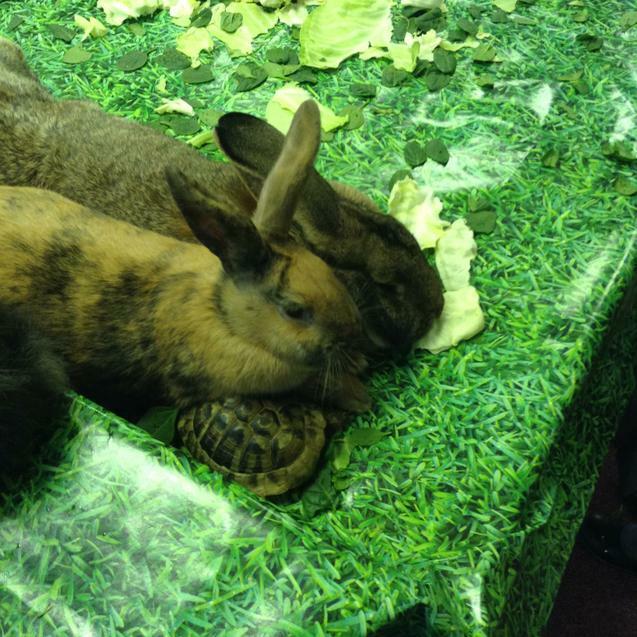 OUR CHRISTMAS PARTY - WEDNESDAY, 19TH DECEMBER 2018 - We sat in a circle on the carpet and had something to eat and drink. 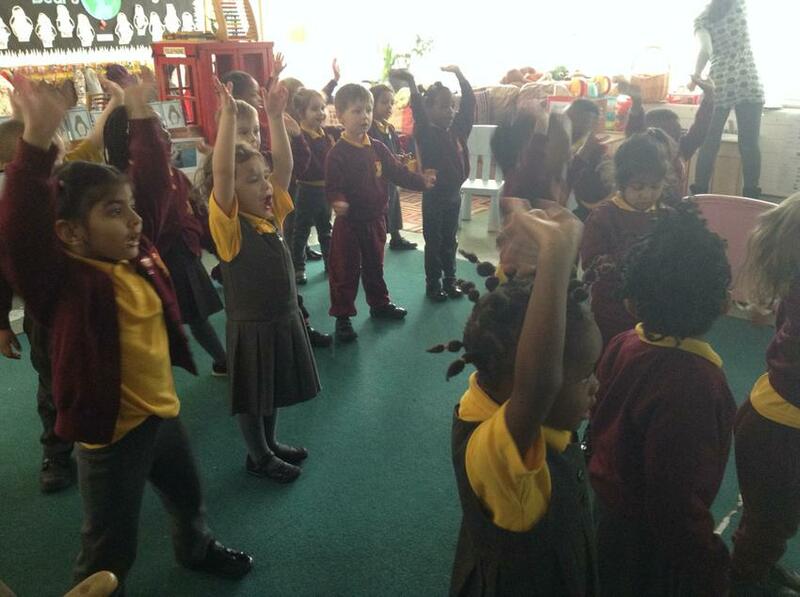 Then we had lots of fun dancing to Christmas songs. 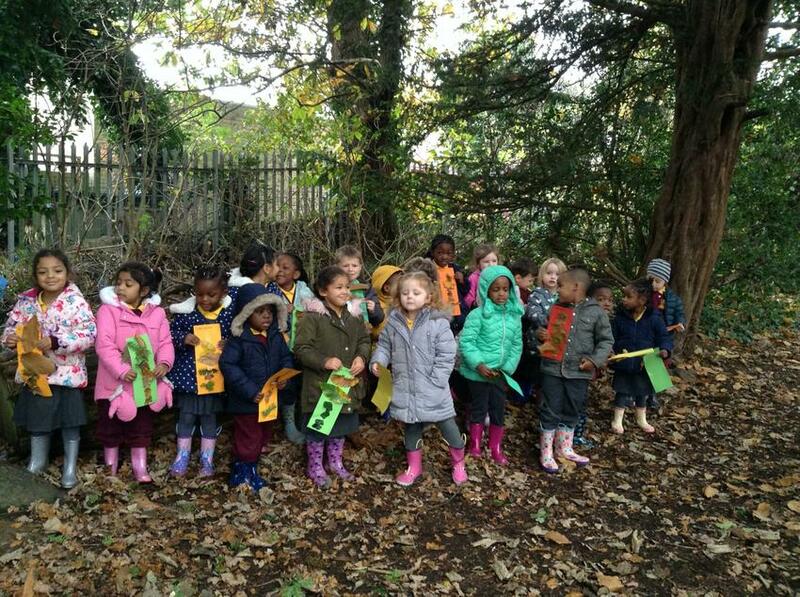 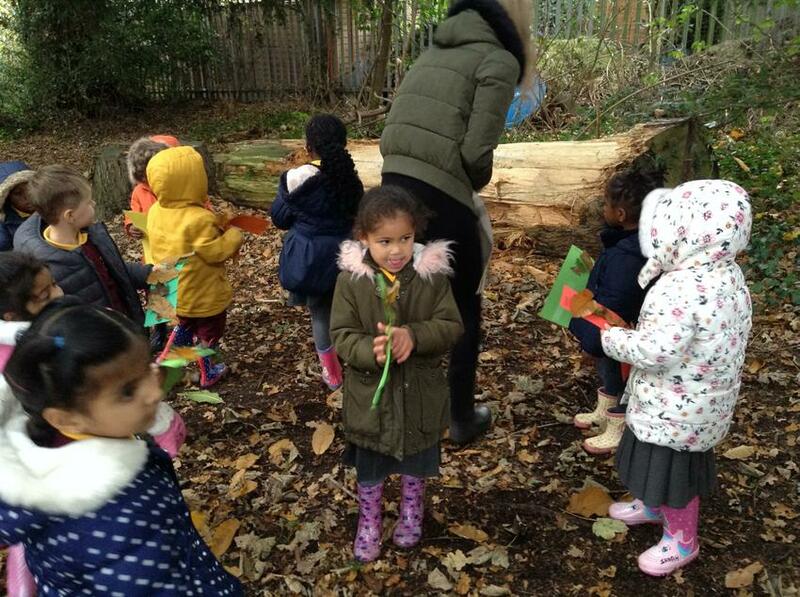 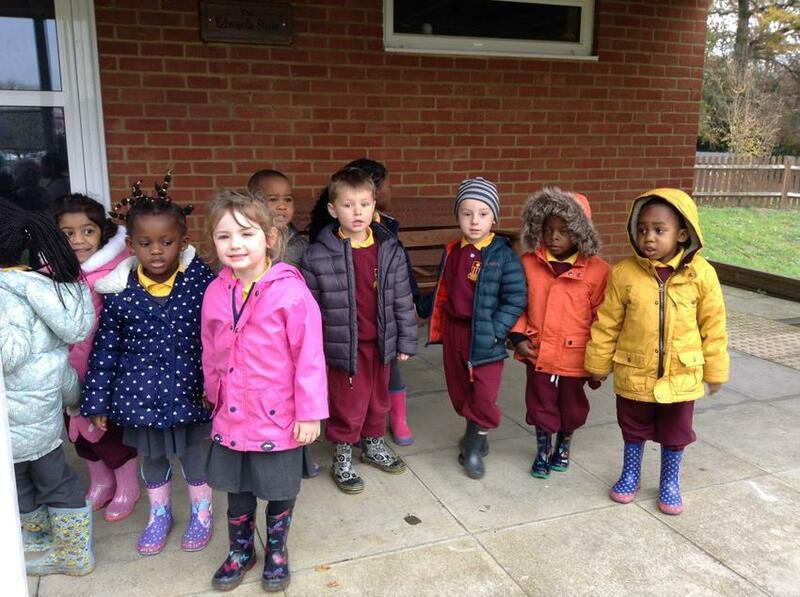 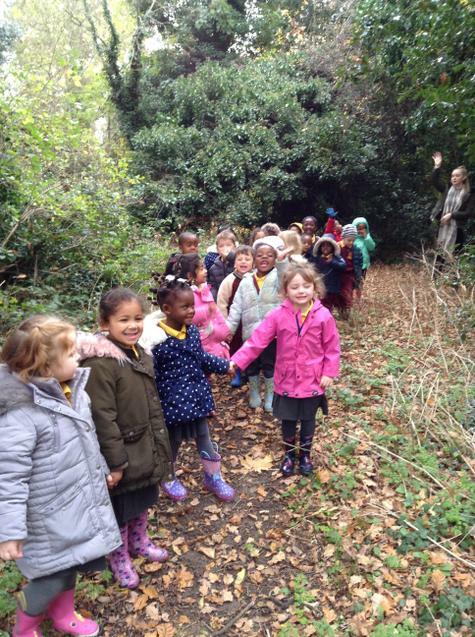 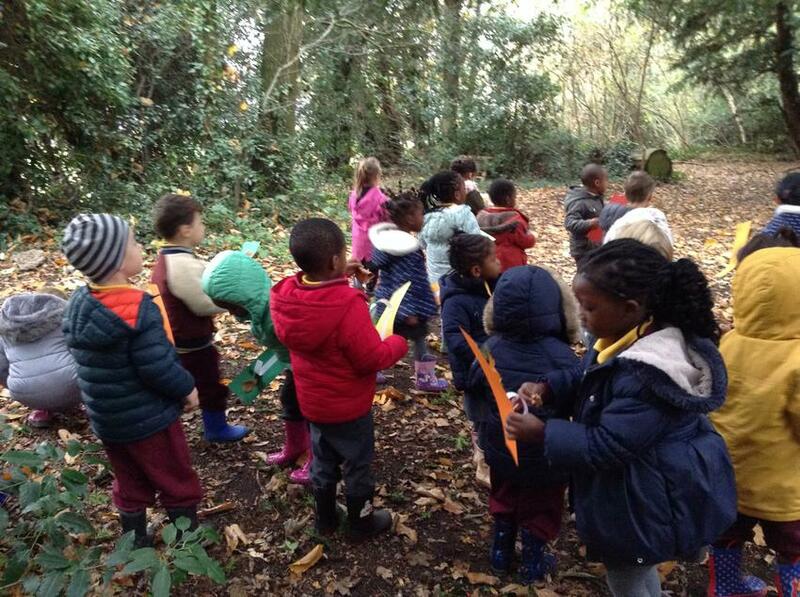 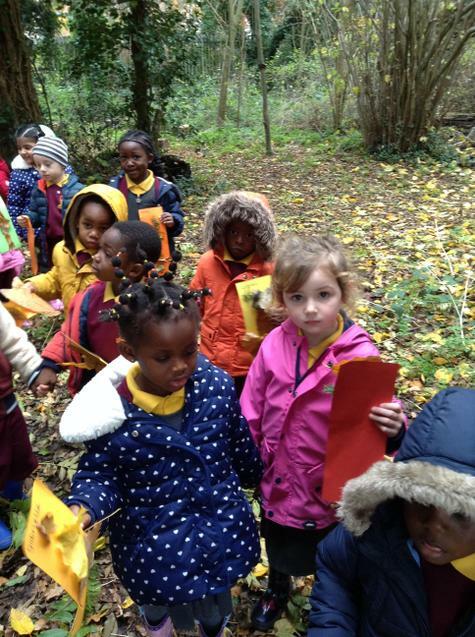 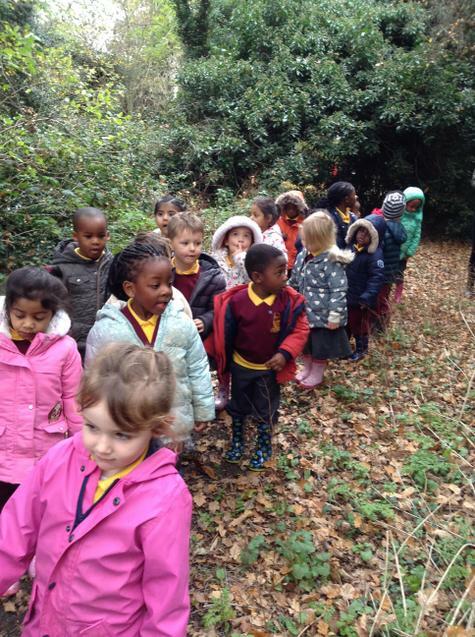 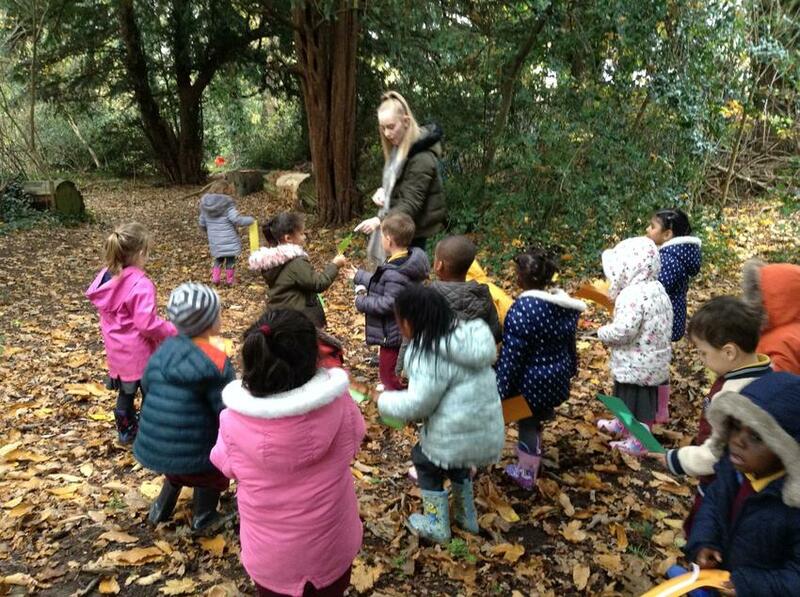 This morning, we went for a Woodland Walk in the woods in the school grounds. 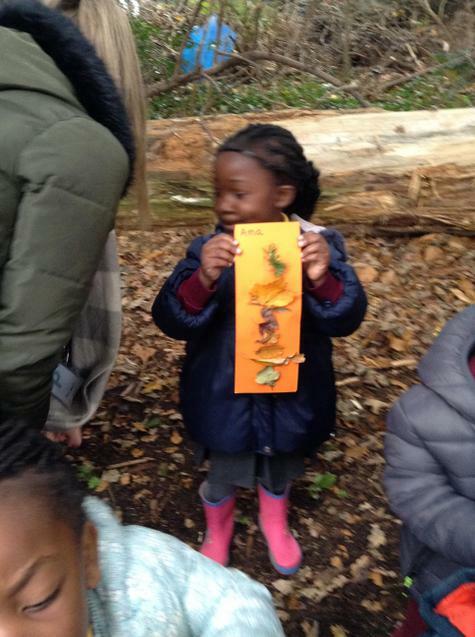 We were each given a card on which to place autumn items e.g. 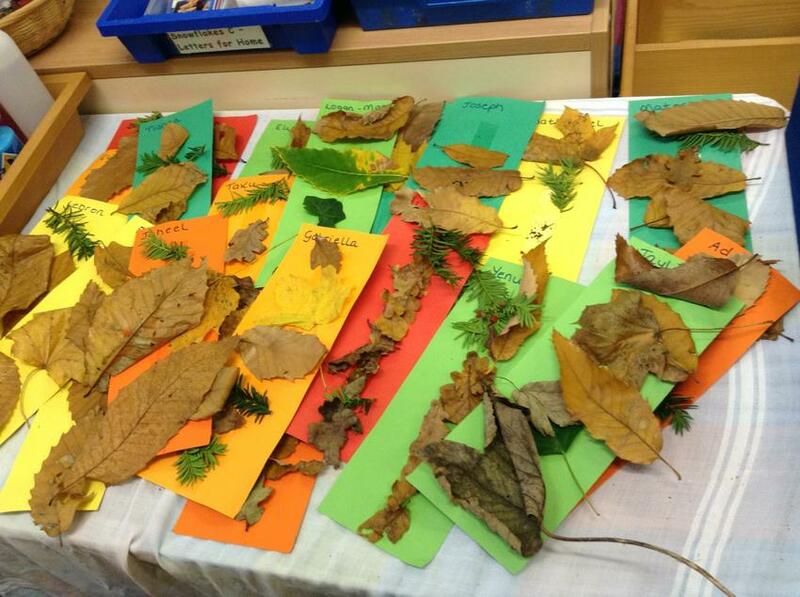 different leaves. 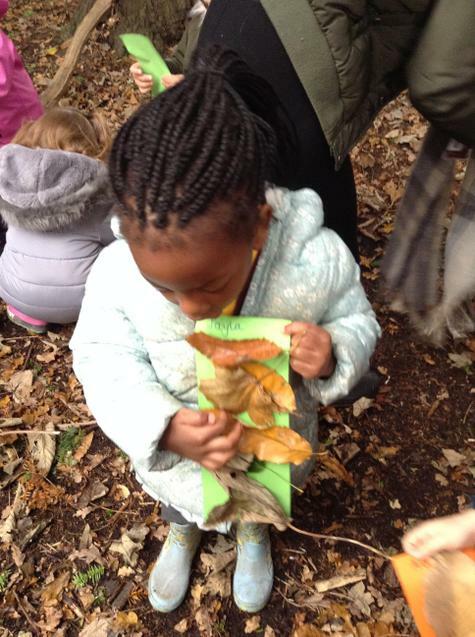 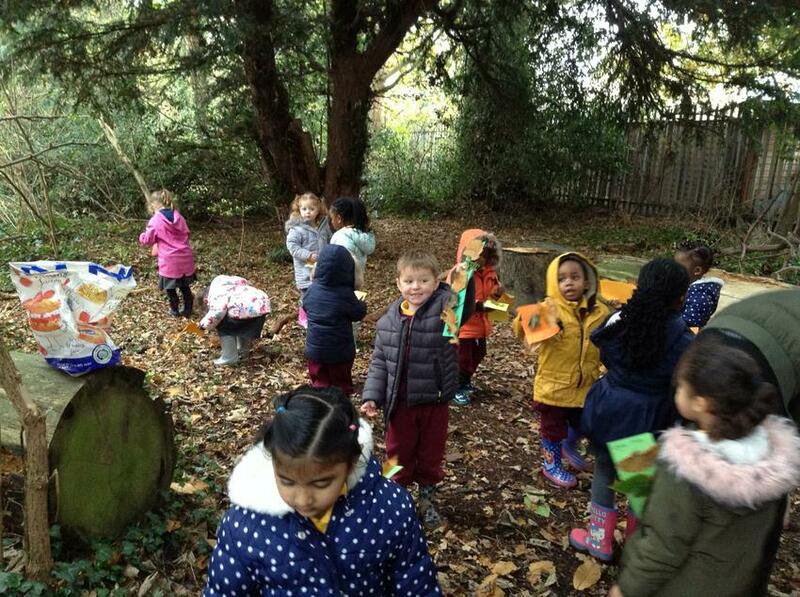 We were able to observe our environment in Autumn. 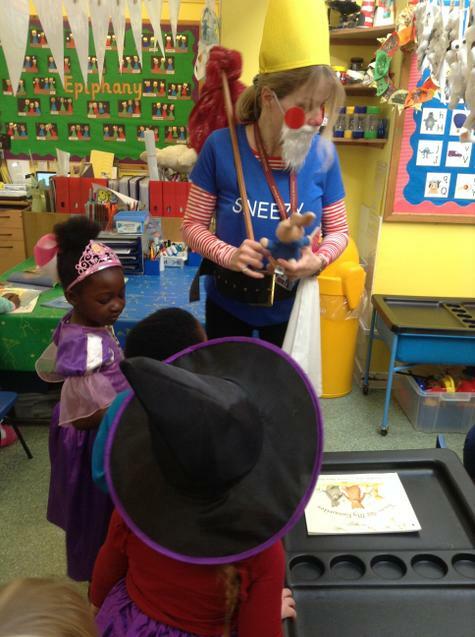 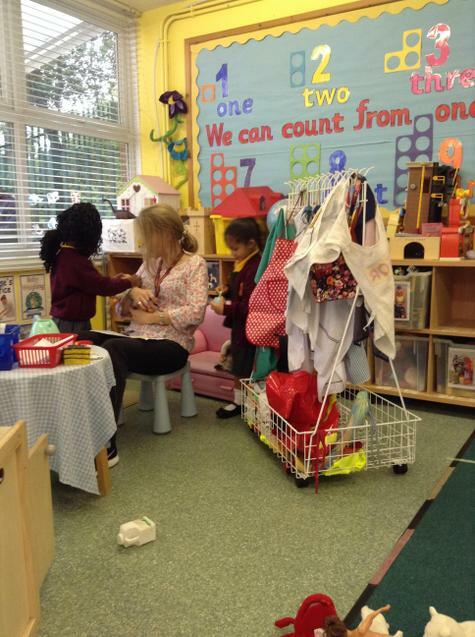 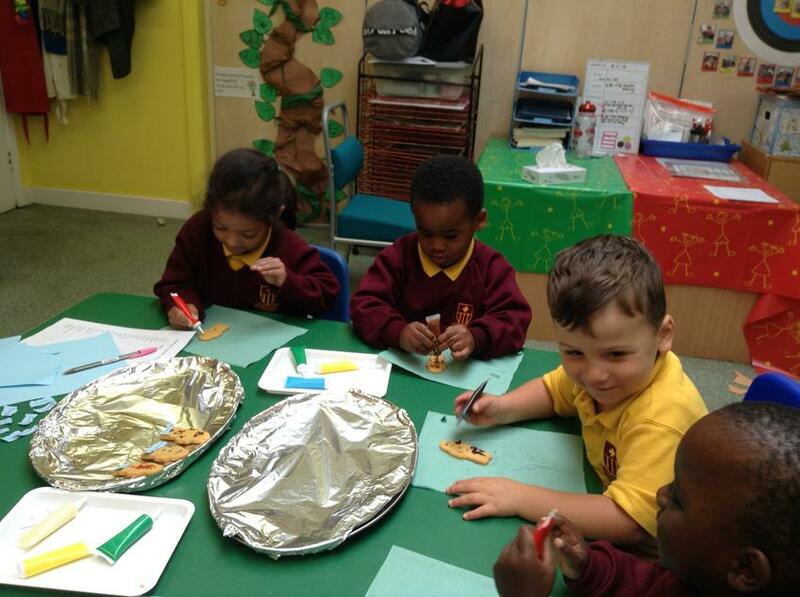 Our theme this week has been 'The Gingerbread Man'. 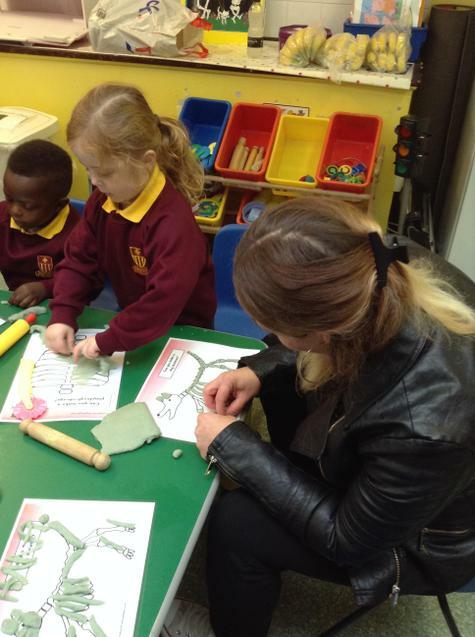 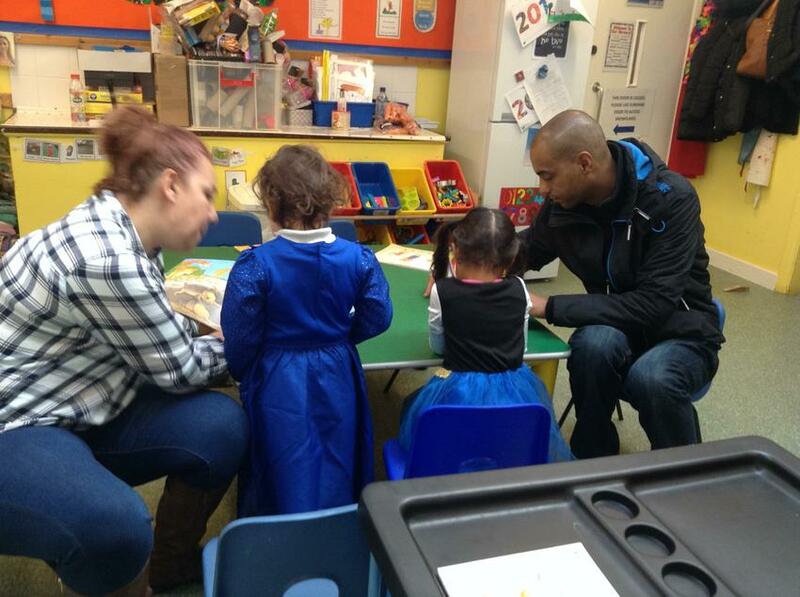 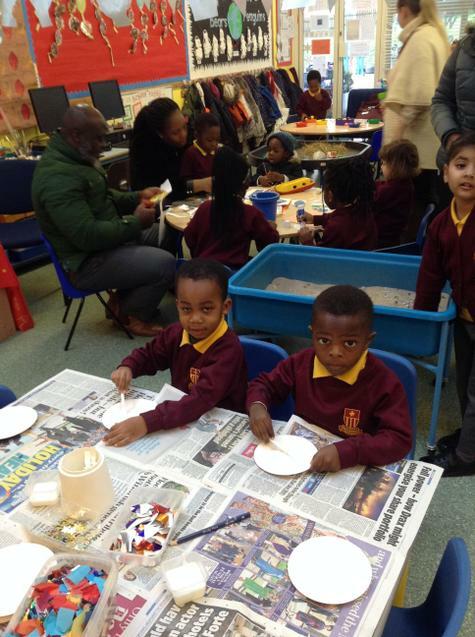 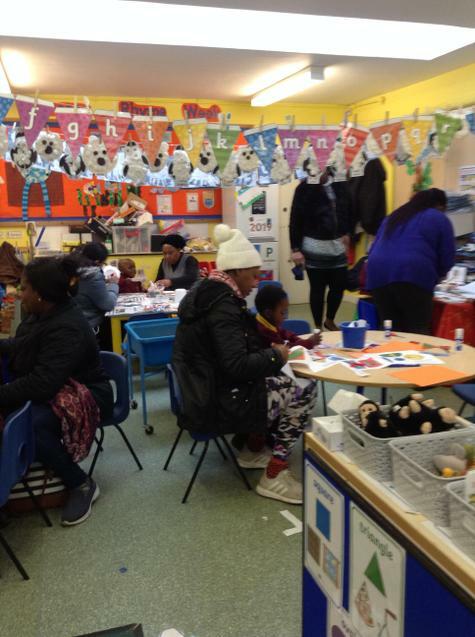 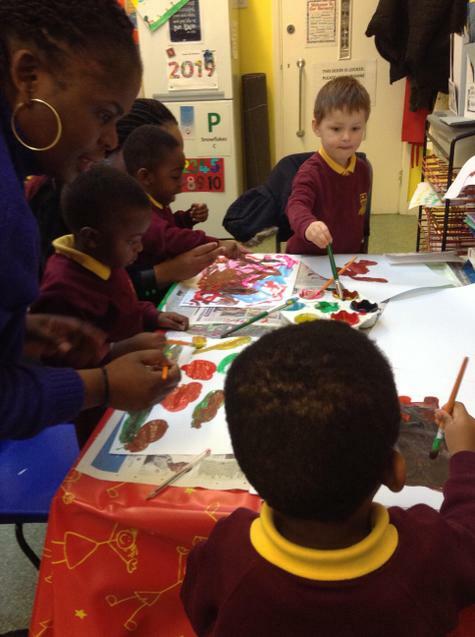 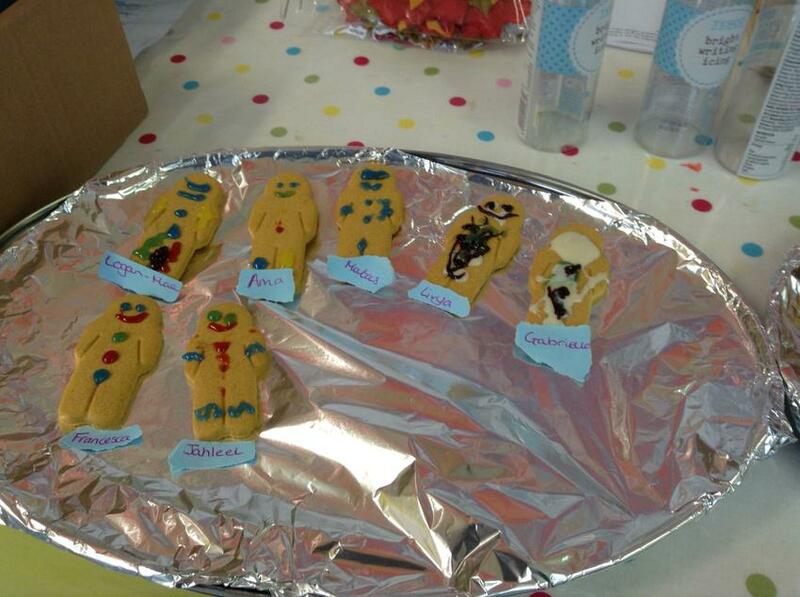 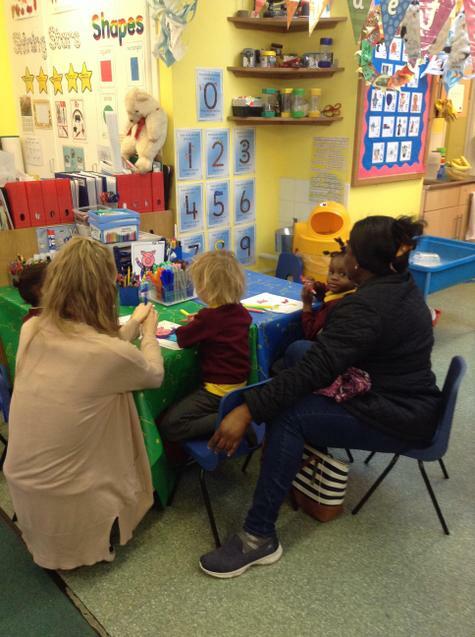 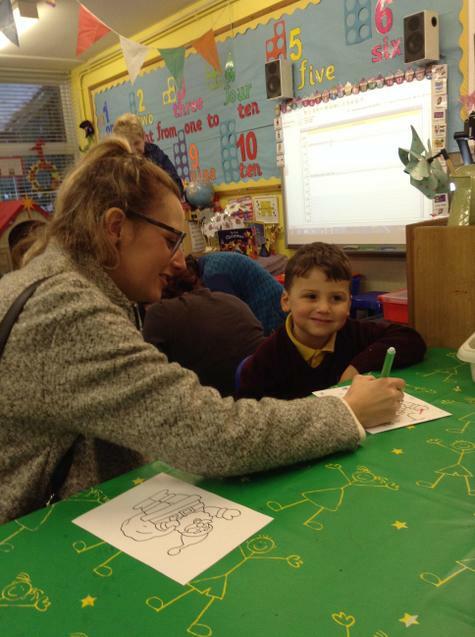 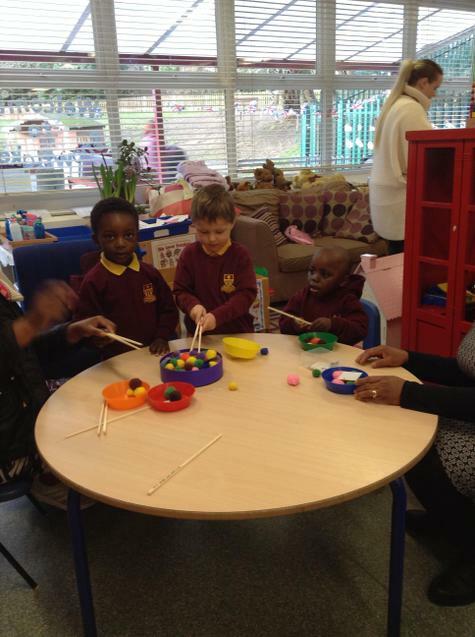 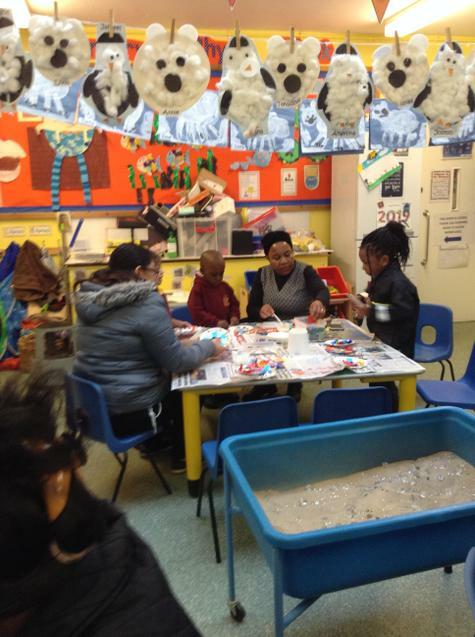 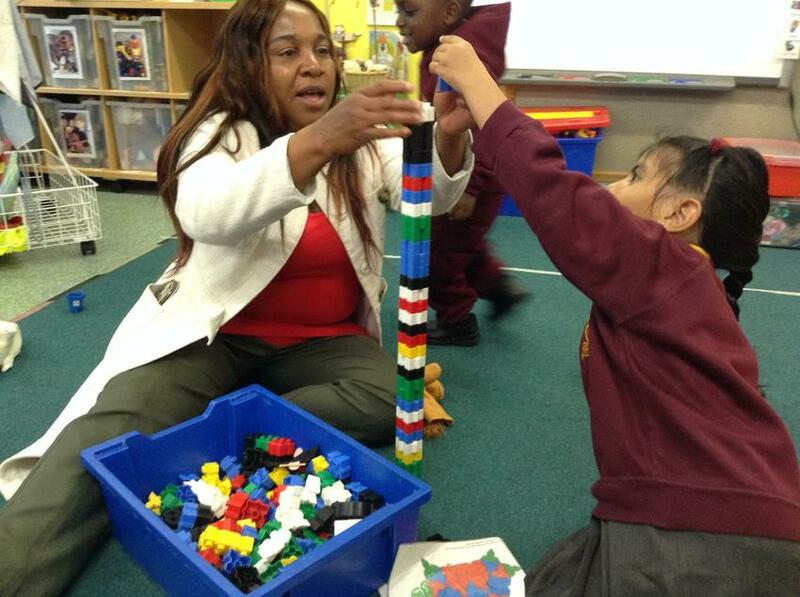 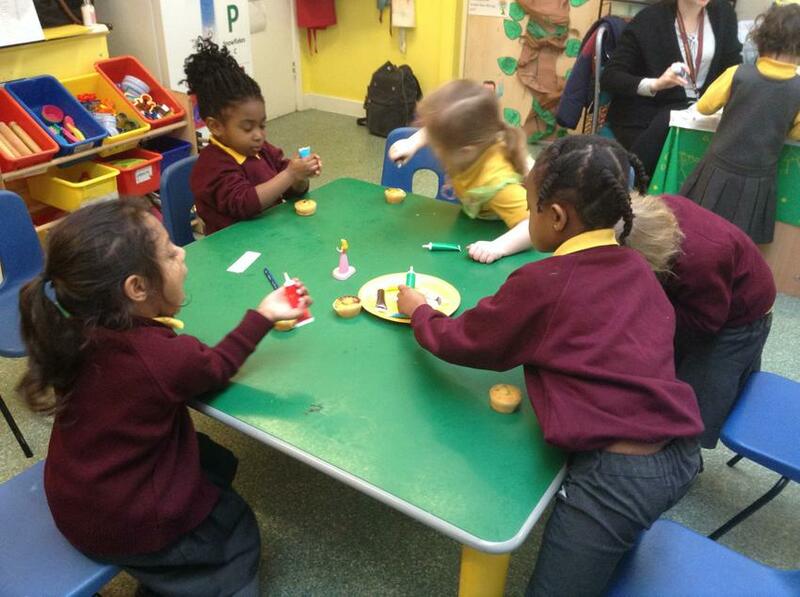 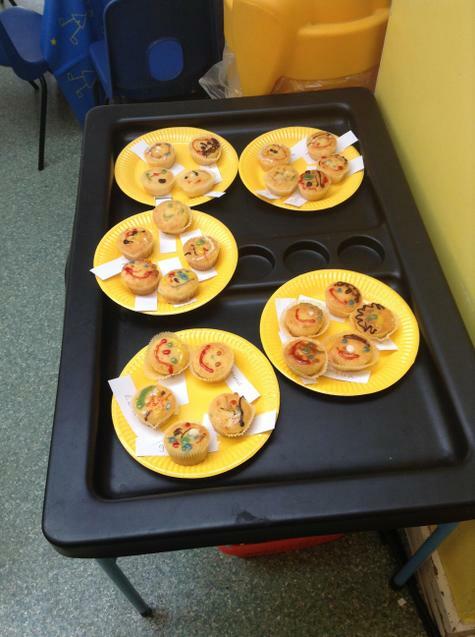 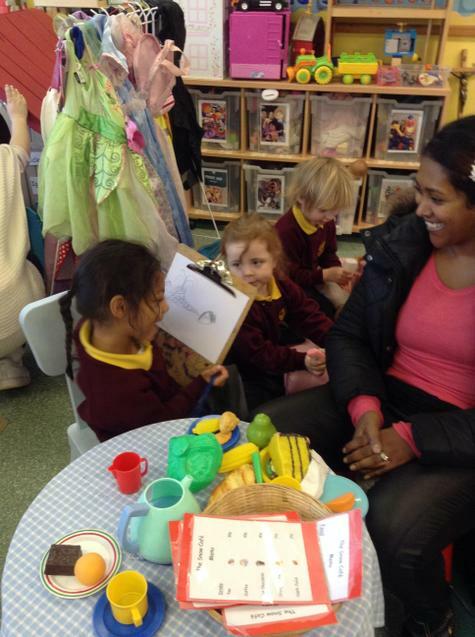 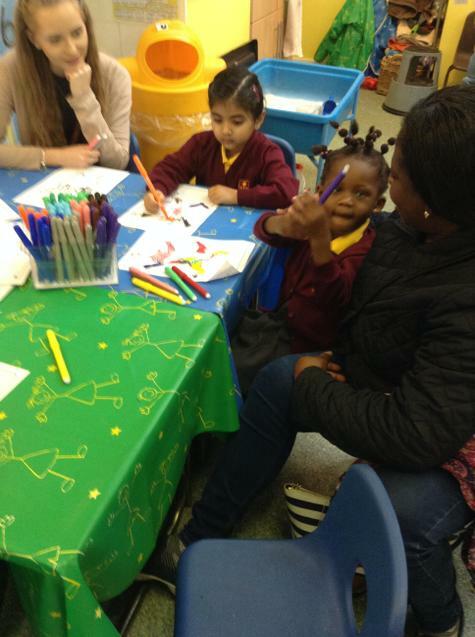 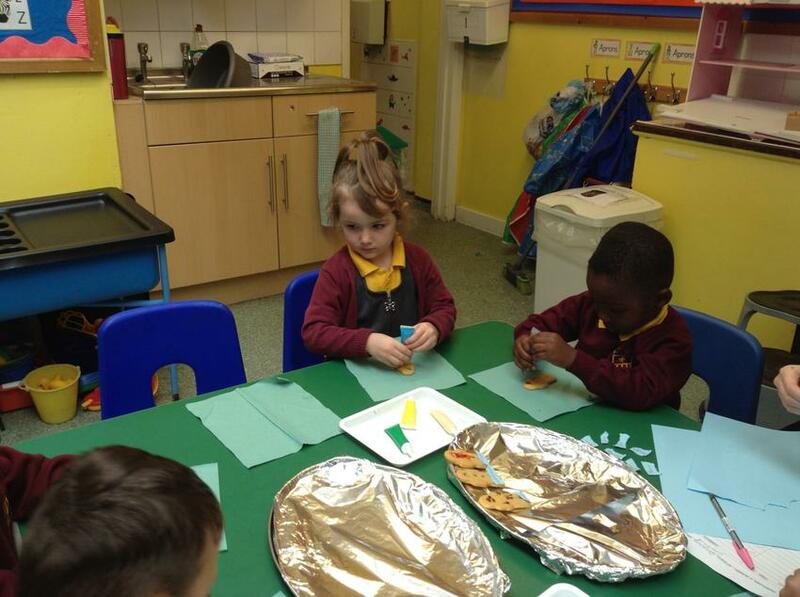 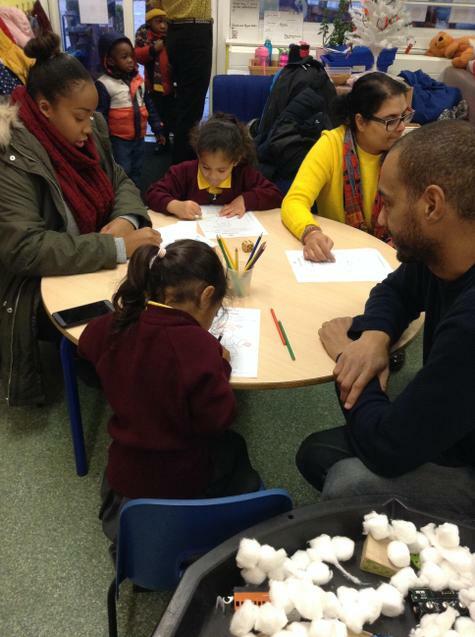 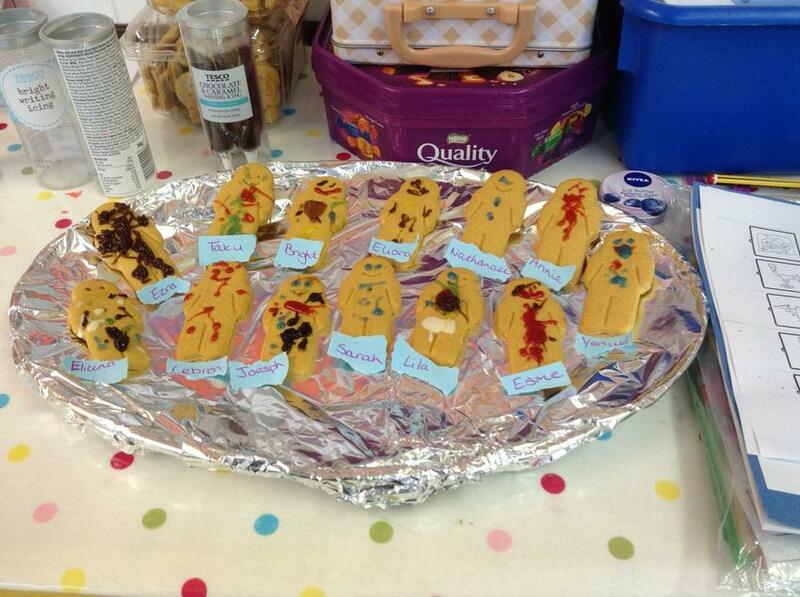 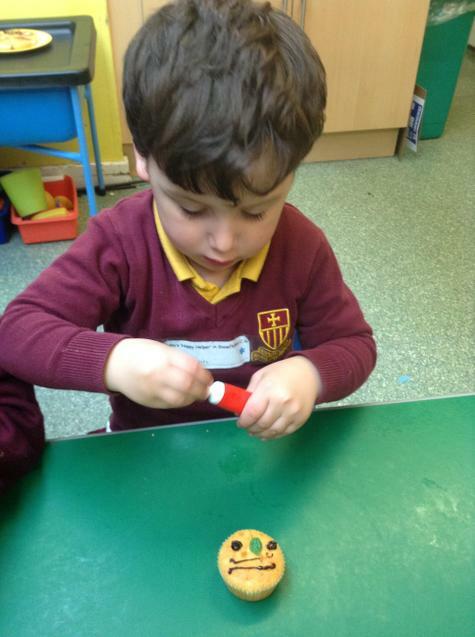 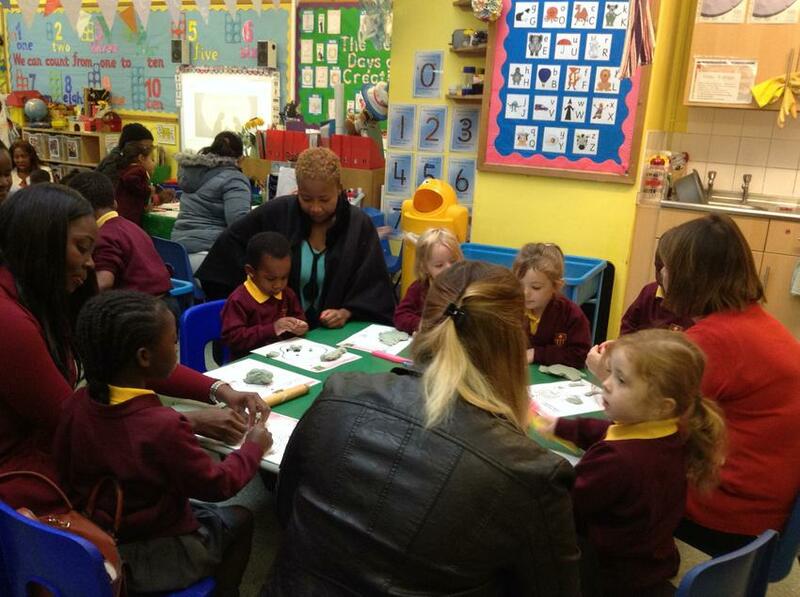 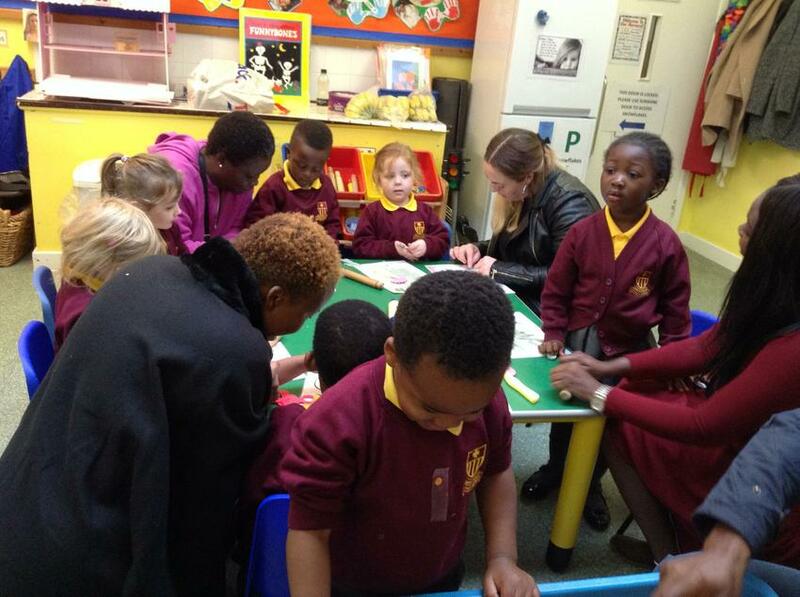 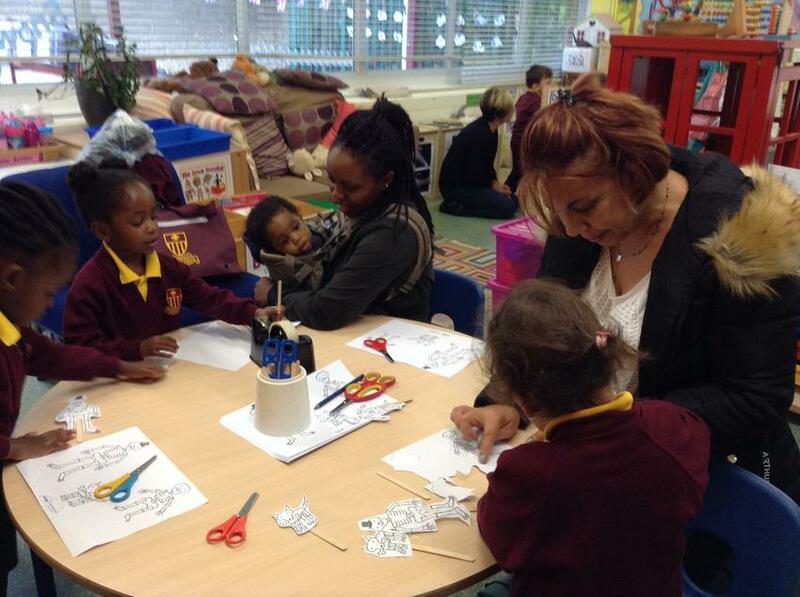 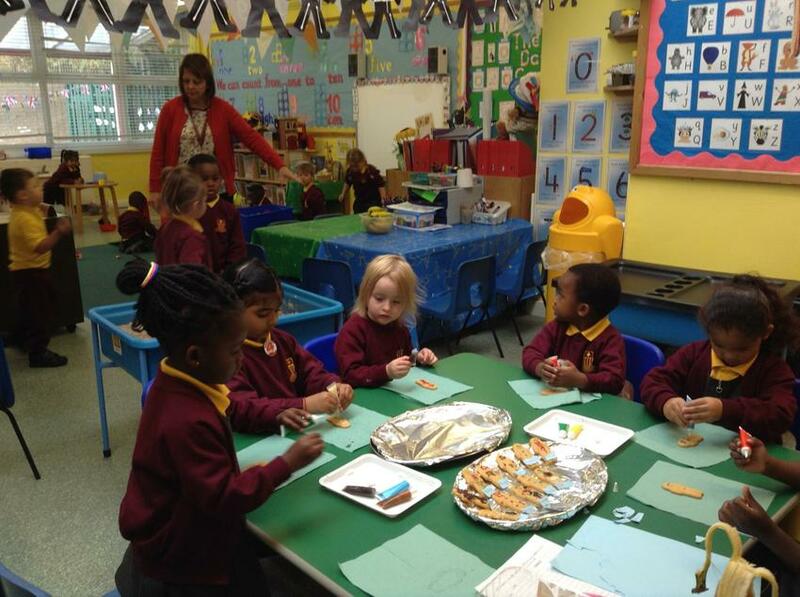 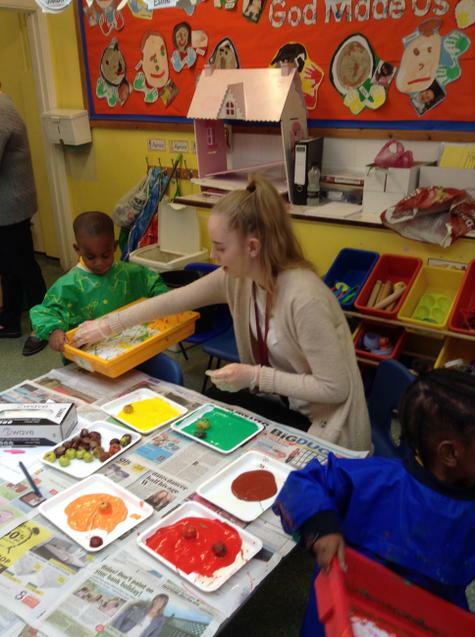 As one of our activities to link with this theme, the children enjoyed decorating Gingerbread Men. 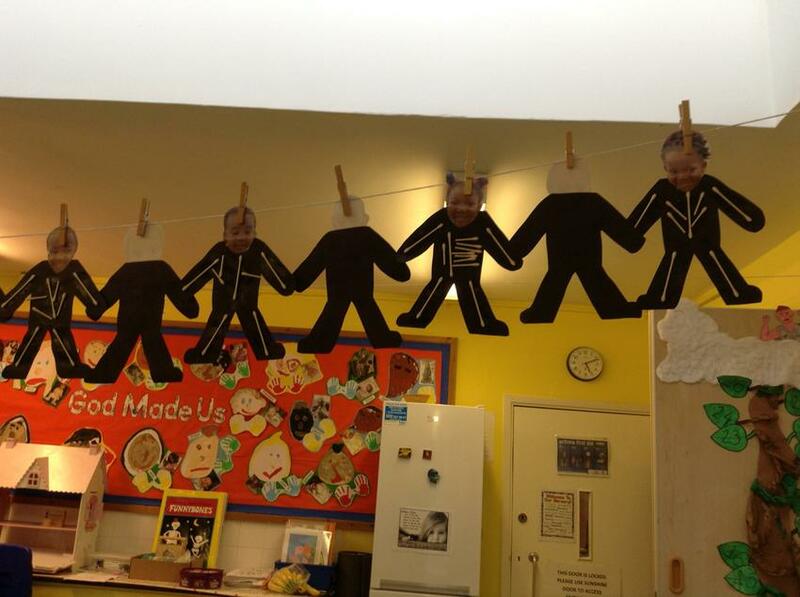 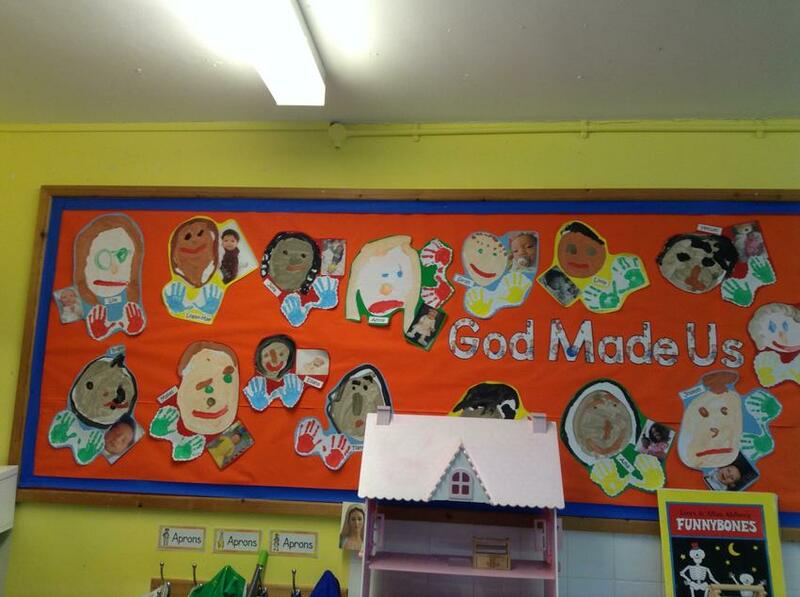 Some of our work is being displayed in the classroom. 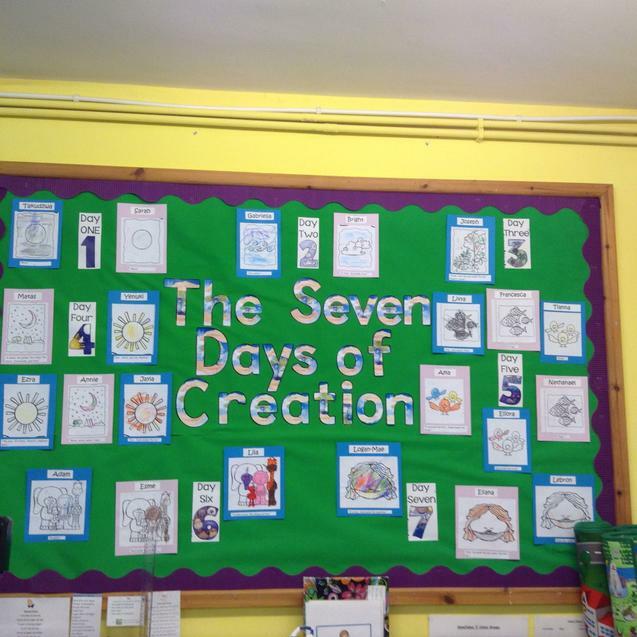 We have a display of our 'Self Portraits' and another display shows our pictures on 'The Creation'. 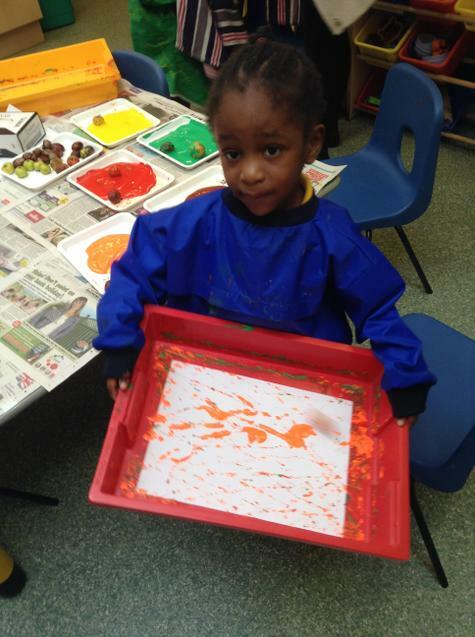 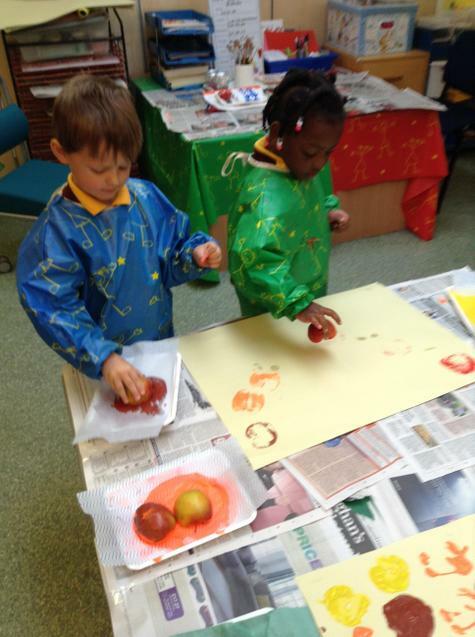 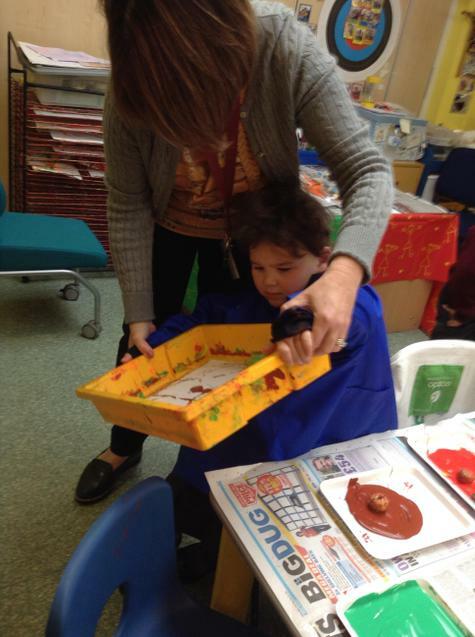 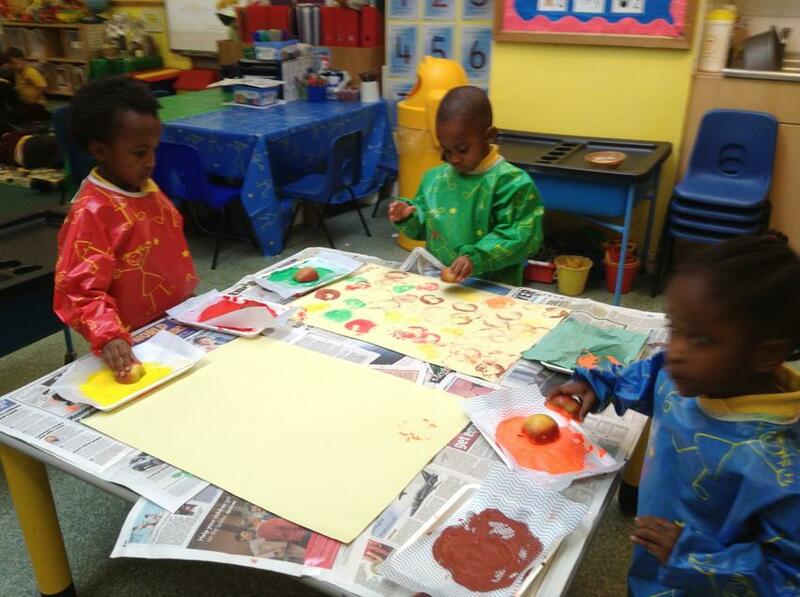 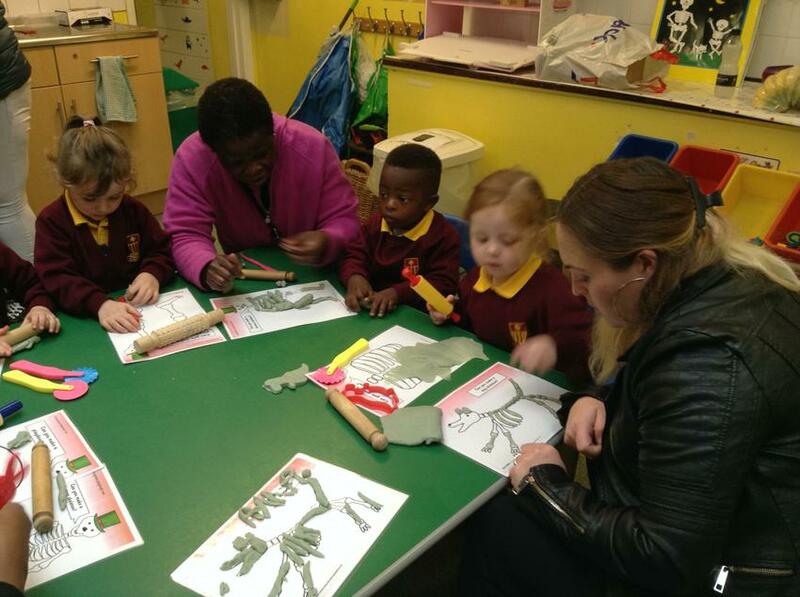 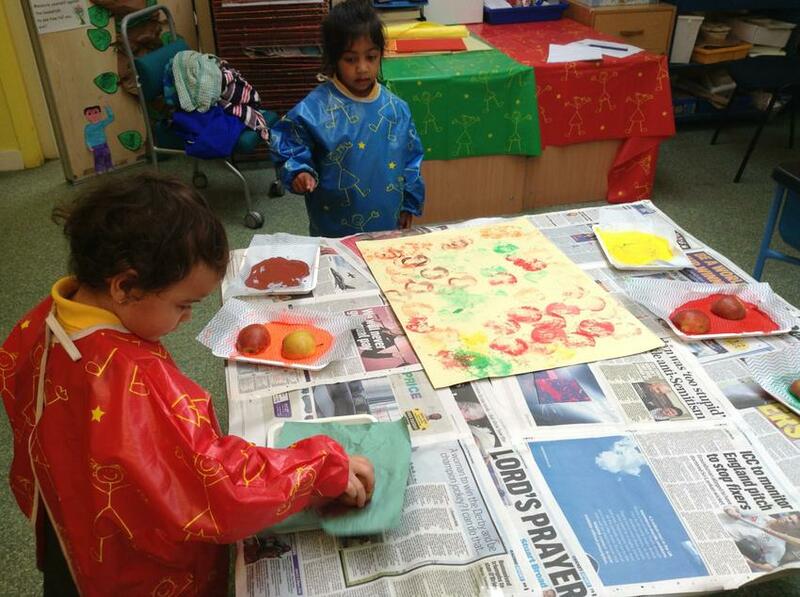 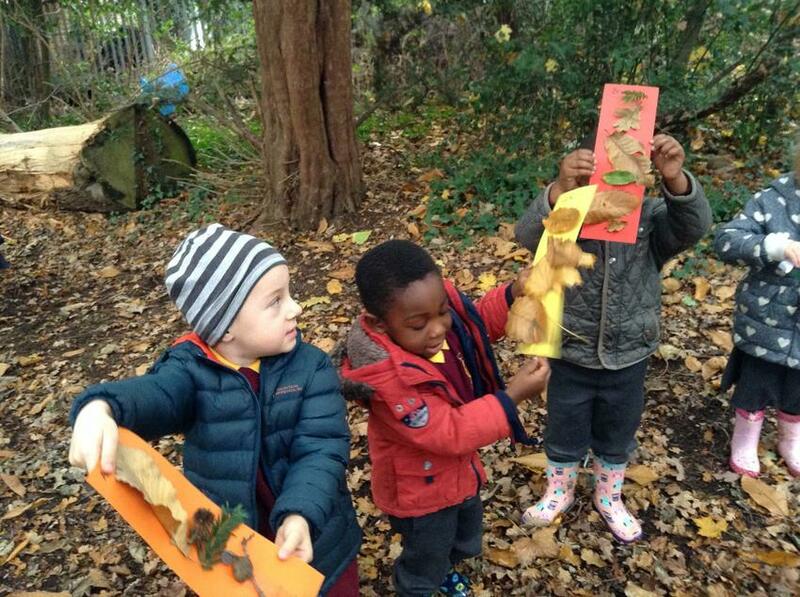 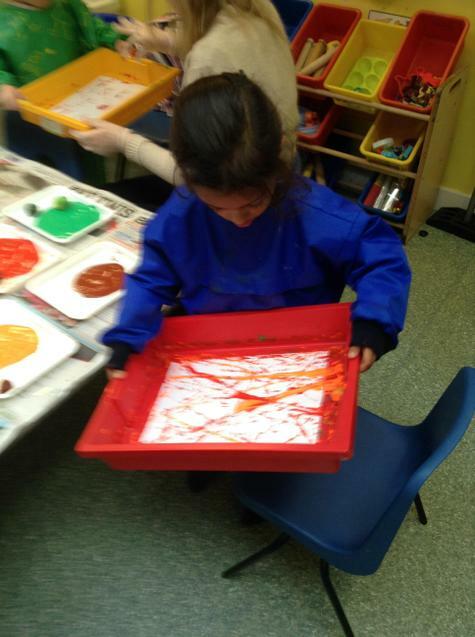 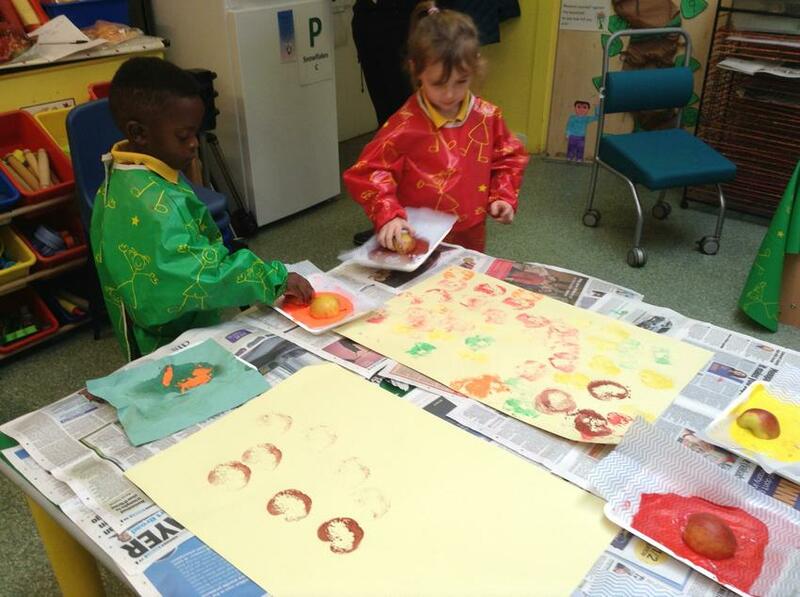 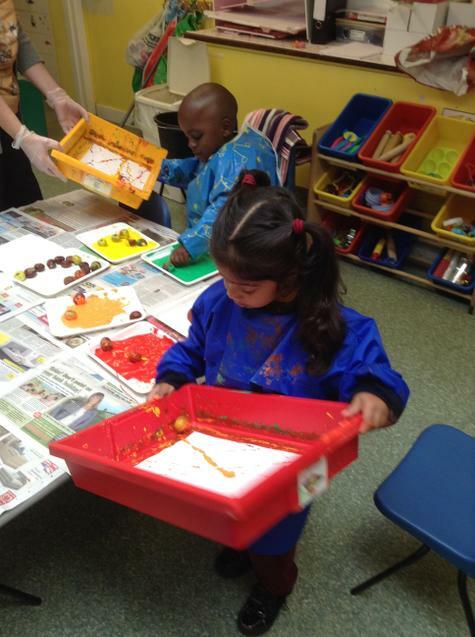 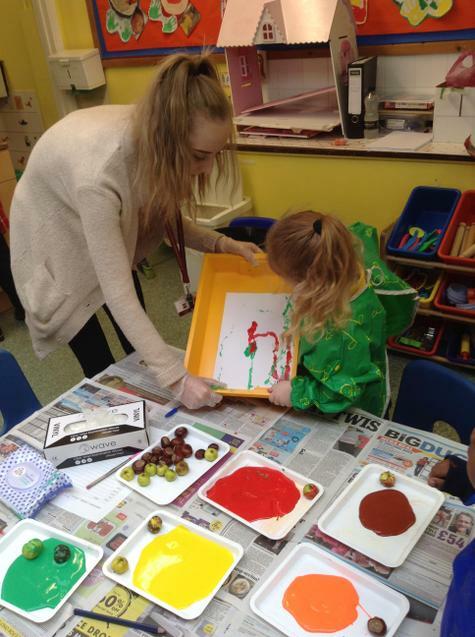 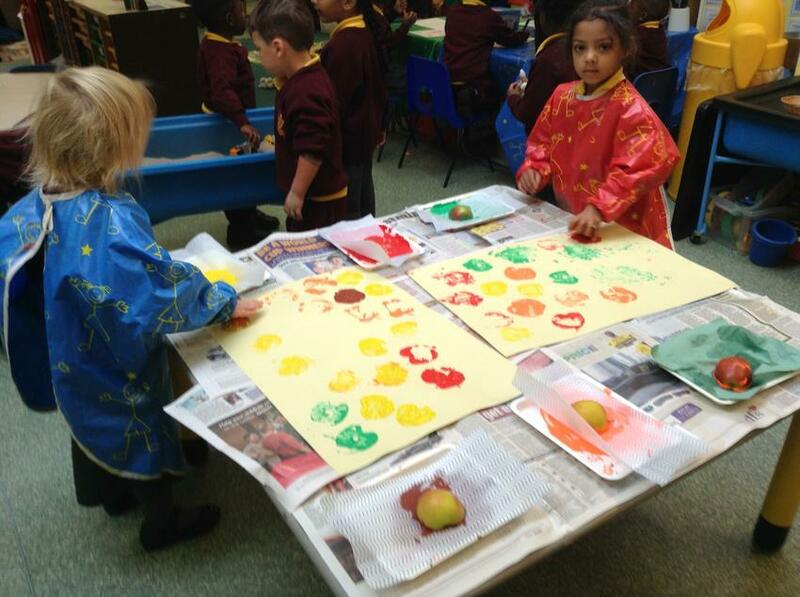 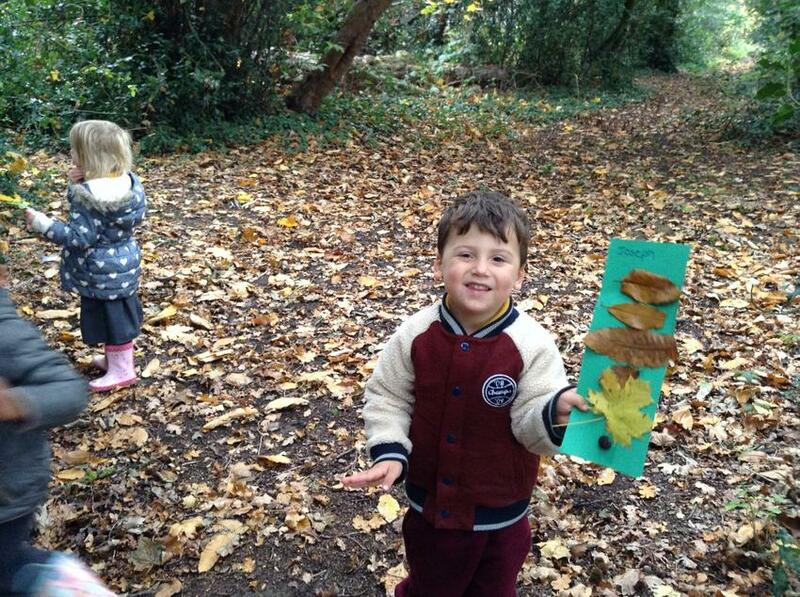 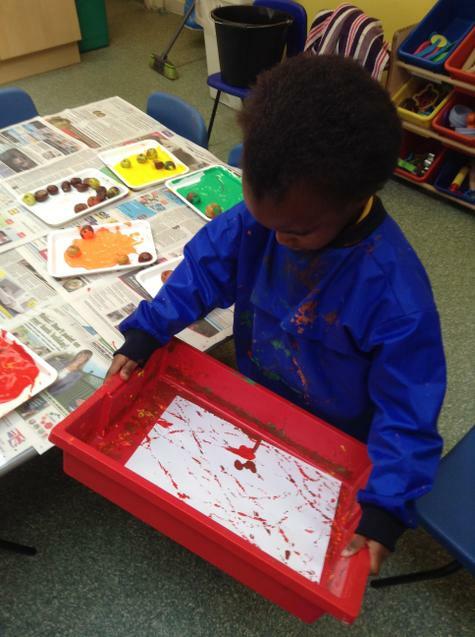 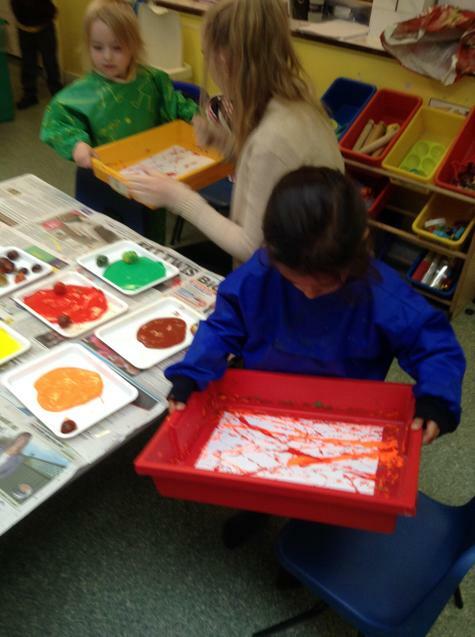 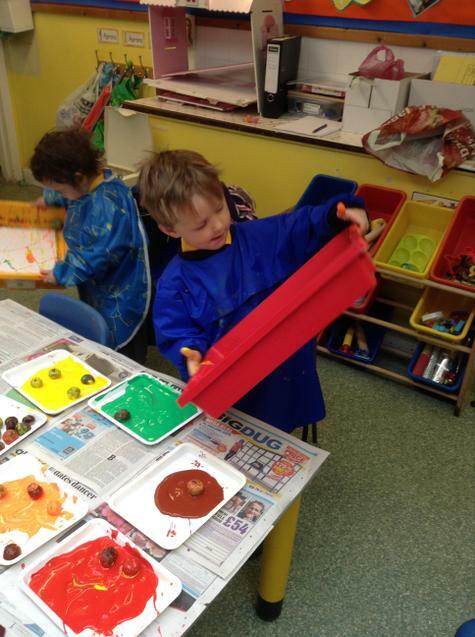 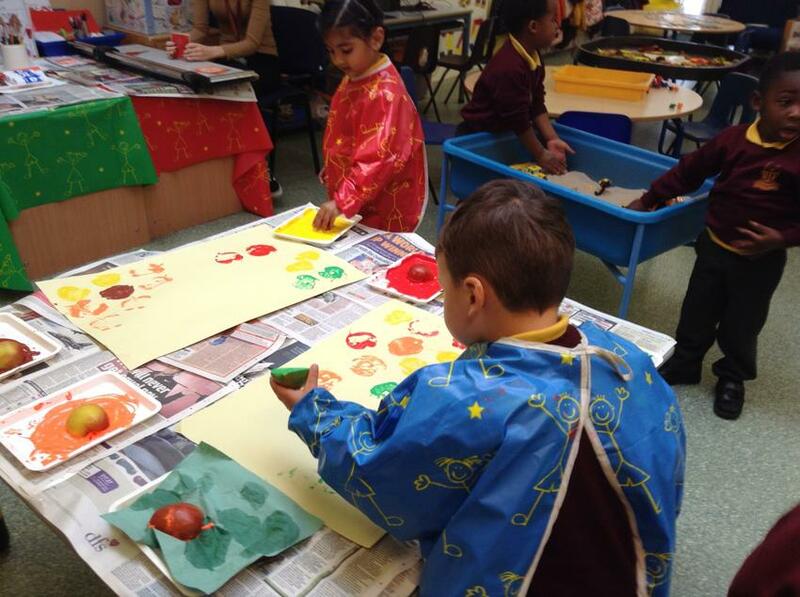 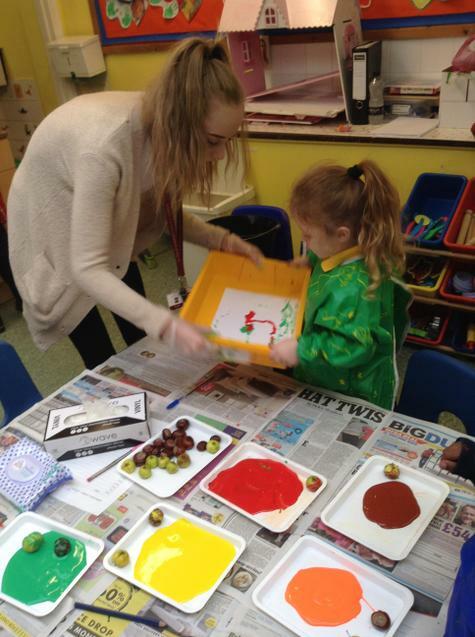 This week, we have been busy making 'Autumn' prints, using apples and conkers.